In many ways, it’s Paul’s great longing for unity in the churches that underpins this letter from beginning to end! And now in the final chapter he gives powerful personal expression to this as he sends his affectionate love and greetings to dozens of named members of the church in Rome. They’re his “co-workers”, “brothers” and “dear friends”; they “work hard” and are “approved in Christ”; they’re like family to Paul. They comprise men and women, Jews and Greeks, slaves and freed-men; and all are loved dearly and greatly valued by Paul. 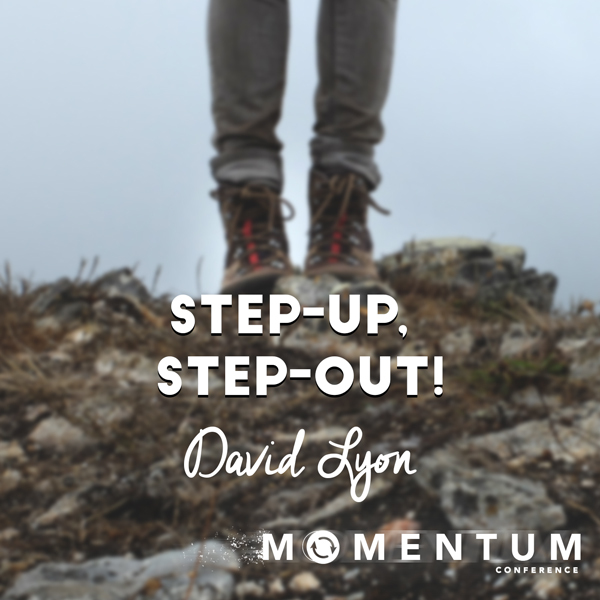 This great apostle didn’t just write about fellowship, teamwork and unity in Christ – he set us all a great example by living it out in his life and ministry! 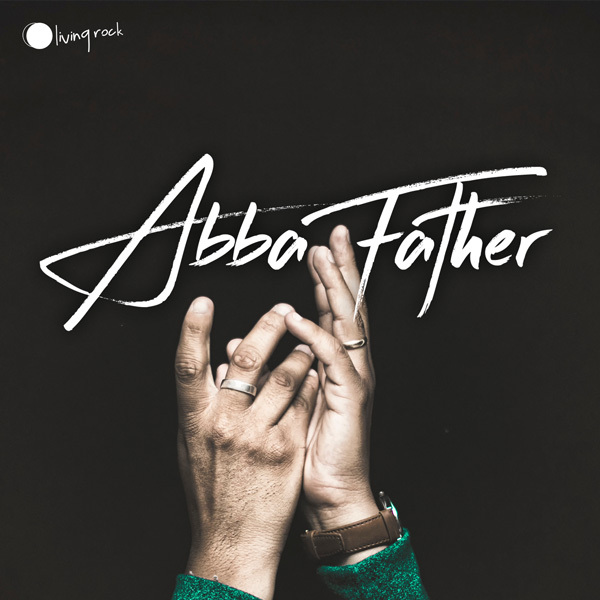 Abraham’s resulting faith enabled him to see, beyond all human hope, what God was going to do in his life. 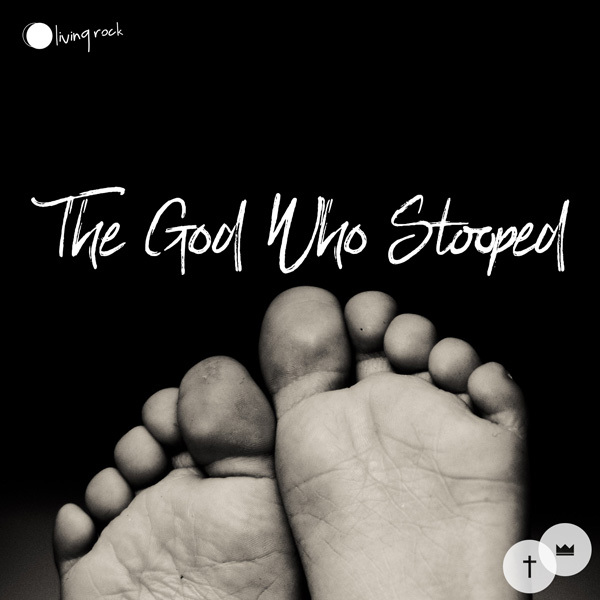 It enabled him to see his own future promised son, Isaac whom God was calling into being, and even beyond to God’s Promised Son, Jesus through whom many nations would come into the same faith. 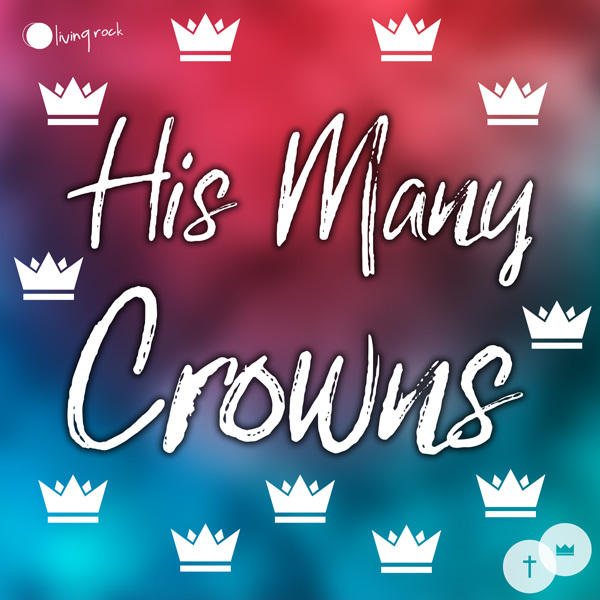 Abraham’s example can show us how to see what God has MADE YOU to be, what the Spirit is doing IN YOU to bring you into the full stature of Christ, and all that God is seeking to do THROUGH YOU to call many nations into His Kingdom. Let us align ourselves with what God has said He will do, and call into existence those things which He has promised, but do not yet exist! In Romans 12:9-10 Paul exhorts us to really love our Christian brother and sister, to be committed to philadelphia. So how can we love one another in this way, how can we express and enjoy this precious brotherly love? When God says to us “I Promise” we can expect that we will be stretched and changed us to become more like Christ, we can expect to grow in clearly hearing and diligently responding to the voice of God, and we can expect that our faith in God can inspire faith in others to believe that the One who promises is faithful. How awesome that God loves us and considers us to be a people whom He can bless and trust with His promises. 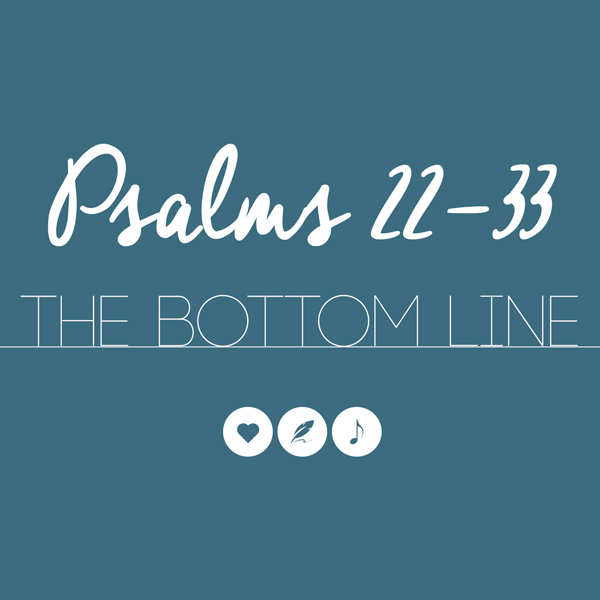 What does the bible say about our salvation in terms of our body, soul and spirit? 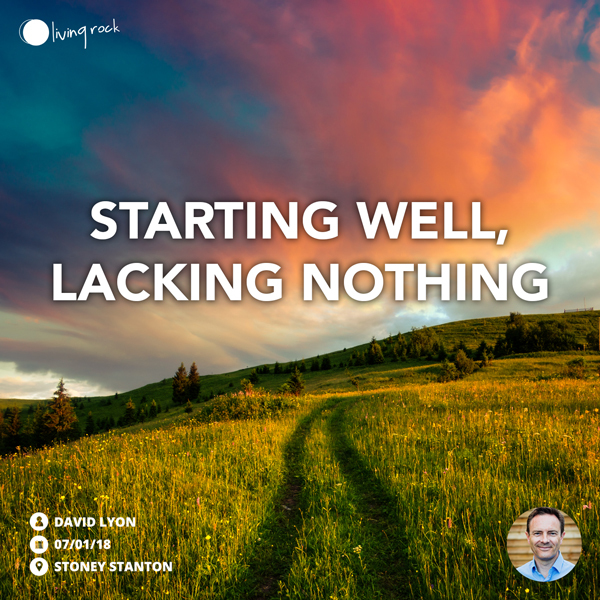 In this message, we attempt to sensitively unpack the elements that make up the whole human person and look at some of this in the context of anxiety, stress and depression. 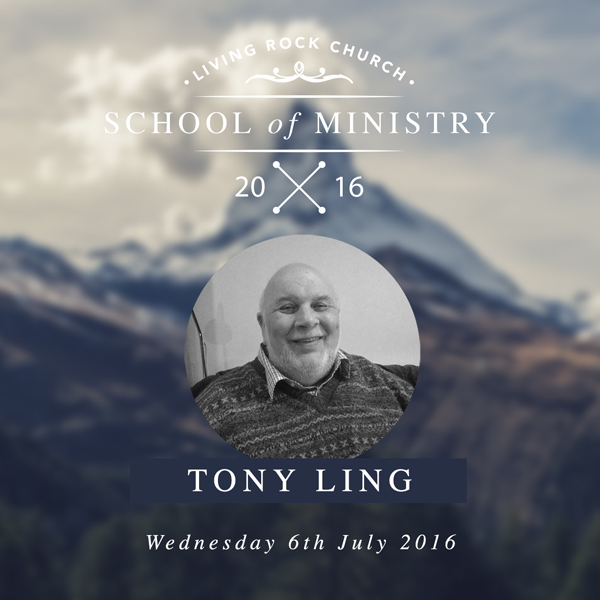 We then look at some keys to help us live in fullness with a spiritual mind. 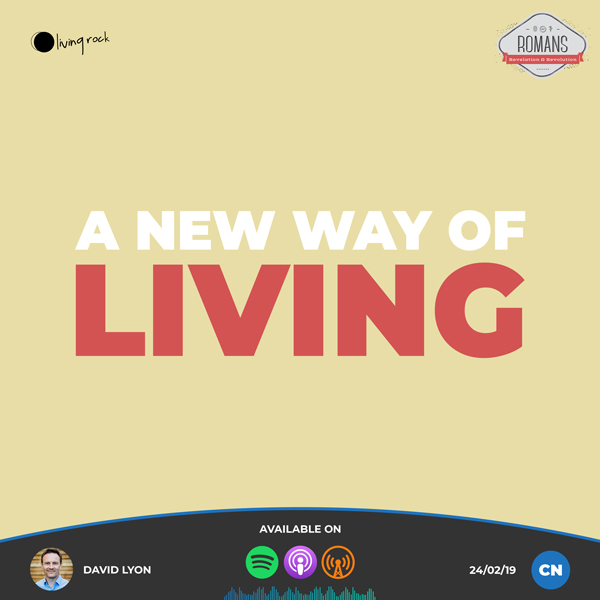 In Romans chapter 8 the great apostle Paul introduces us to what he’s previously described as “the new way of living” (Ro 7:6), and which we now discover is a life filled with, led by and in the power of the wonderful Holy Spirit! In this fantastic chapter we find that the Spirit frees us from failure and liberates us from legalism; He the One who verifies our sonship and gives us victory over sin; and He’s the One who energises our bodies and empowers our prayers! The Holy Spirit is our greatest advocate and we pray that this message will encourage and enrich you in your walk with God. 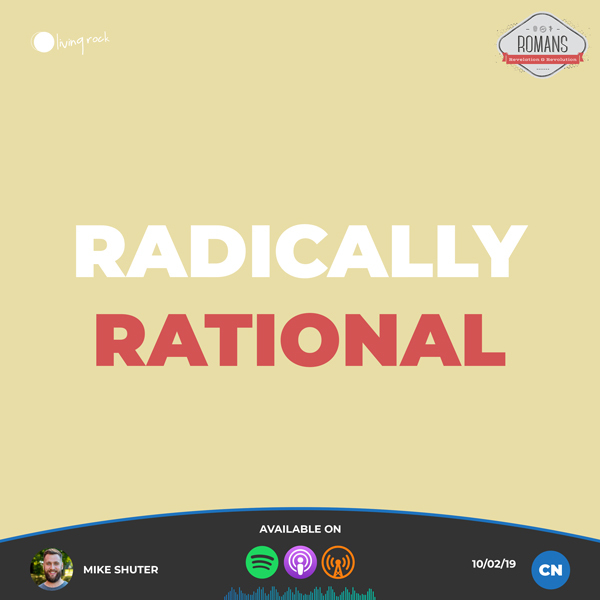 How radical is our rationale? How radical is our way of thinking? 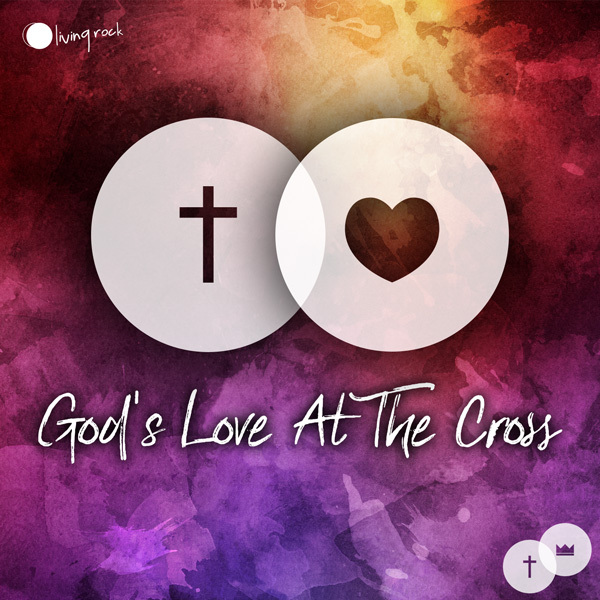 Paul tells us in Romans 12 to offer our bodies as a living sacrifice but then goes on to tell us that this is our rational service – our totally rational response to all God has done for us. 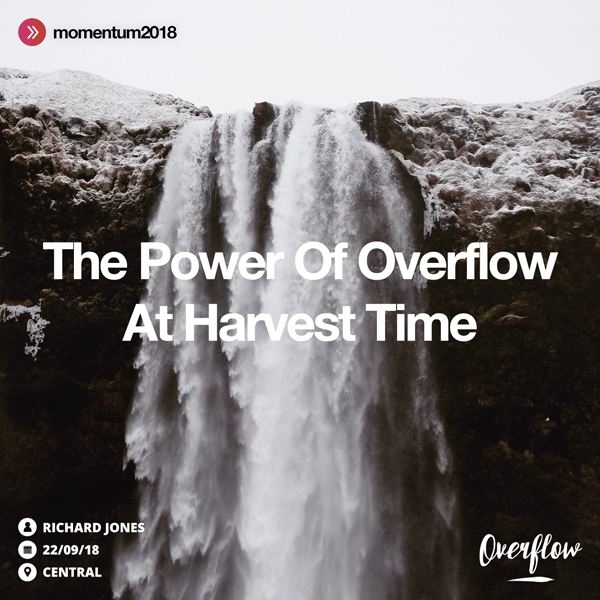 God wants to challenge us not only to think radically as our minds are renewed but also then to live radically in light of that… and Romans 12 gives us some great keys on how we can do that. 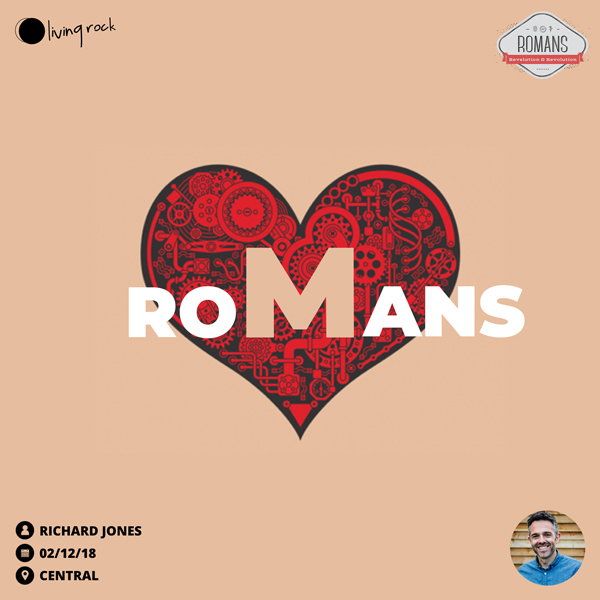 In looking at Romans 8:27-39 we read about Jesus’ covenant love for those who believe. 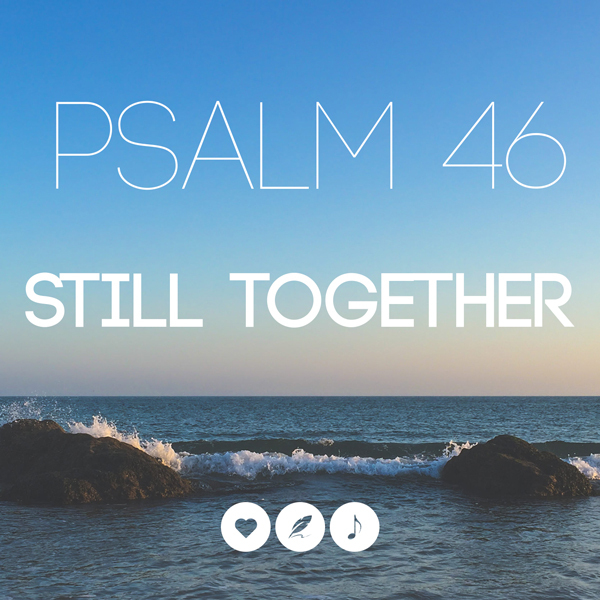 Is it really unbreakable, unchangeable, relentlessly faithful; even in the face of pressures, troubles, loss and death? The answer is a resounding and wonderful ‘Yes!’. 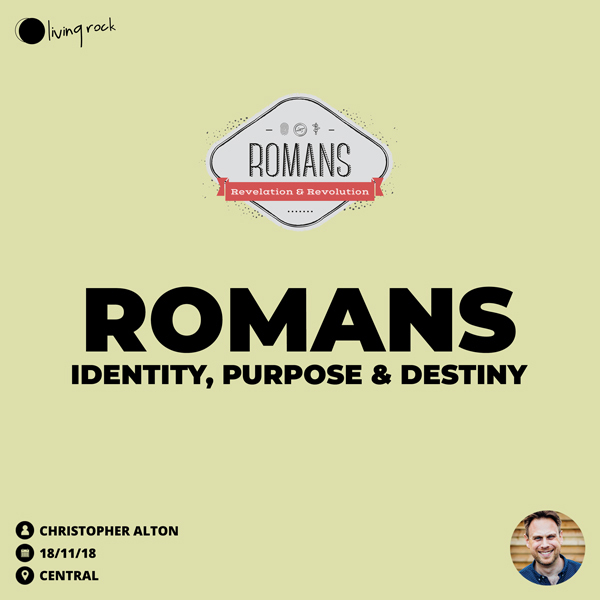 Romans 8:28 – In our present uncertain age, this Biblical truth is a steel peg which can be punched into the Rock. It is an anchor point in the storms of life. 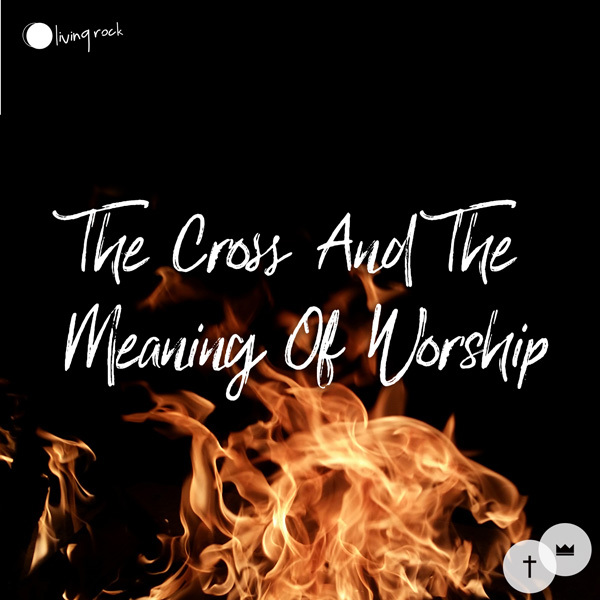 During this message we examine the different parts of this wonderful declaration, to consider some important aspects which we often overlook, and discover some revelatory truths we may not have known were there! 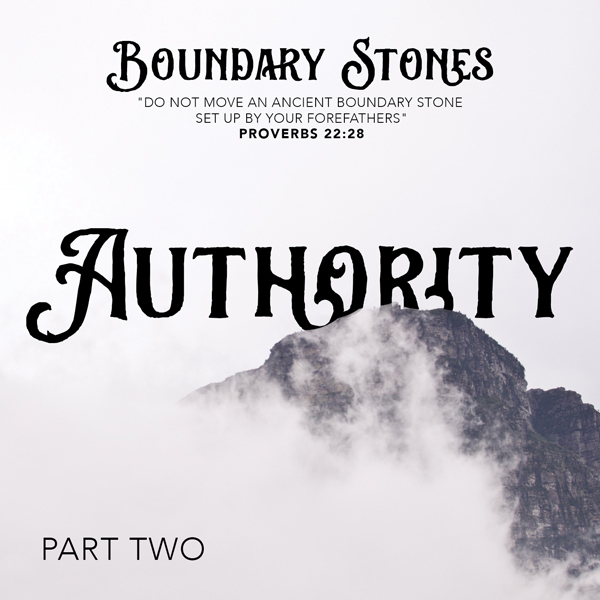 The Apostle Paul acknowledges that there are things in life which we don’t know (v.26), but tells us emphatically that this is an eternal truth we MUST know, with a confidence that nothing is equal to shaking. Every home has its own distinct emphases and characteristics; things which form the essential hallmarks of that house and its inhabitants. 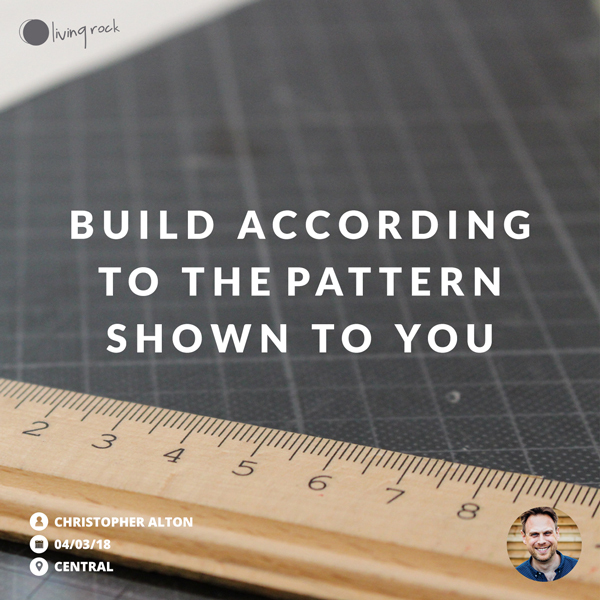 In the second half of this mini-series we describe in further detail the kind of churches we’re seeking to build on the foundations of our gospel. What will this house and family be like? What will it look like, sound like, feel like? It’s our prayer that this message will inspire and encourage you as you give yourself to be part of Christ’s church, which is to be the dwelling-place of His Spirit (Ephesians 2:20). 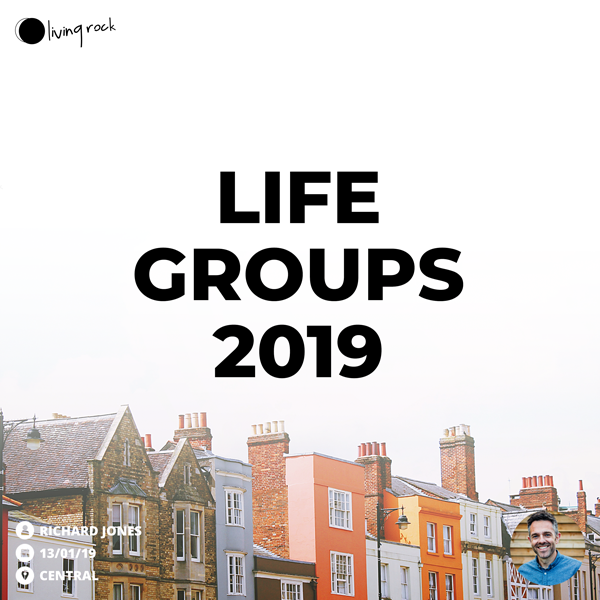 We look again at the importance of small groups in the life of the church, and consider how we can play our part as a member of the Body of Christ in making our group strong, healthy and full of life! 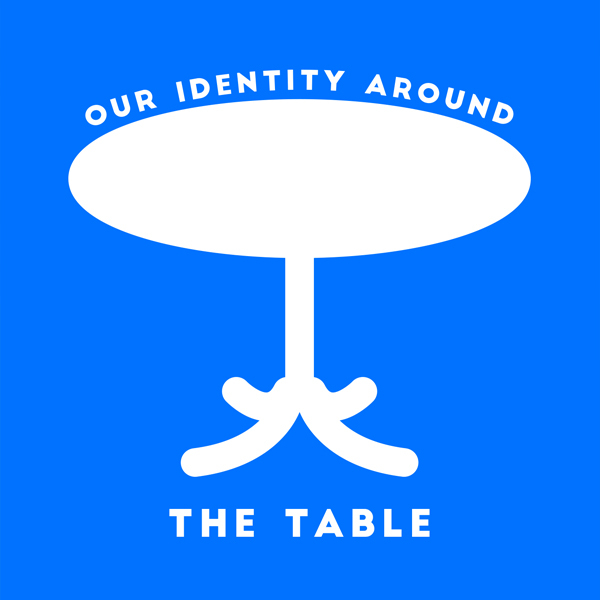 It’s a wonderful thing to have a place to sit at the table and enjoy food, friendship and fun. 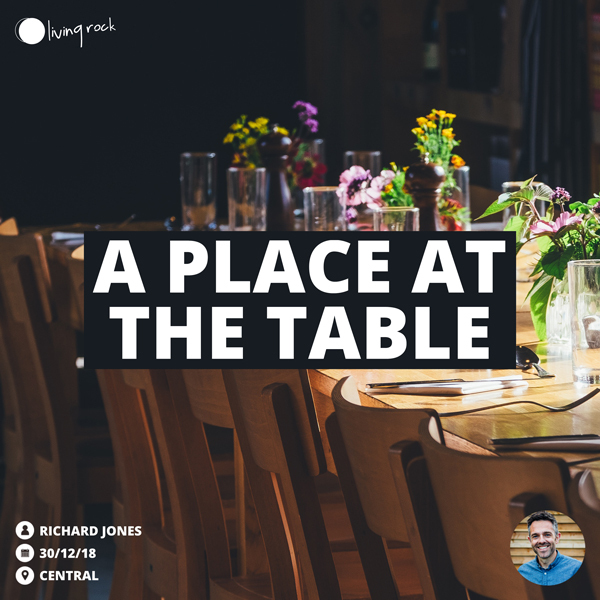 We look at how Jesus Christ invites, prepares and blesses us as we remember Him at the Lords Table. We learn in Romans that we have the freedom to become like Christ, and discover God’s limitlessness love and power in our lives. 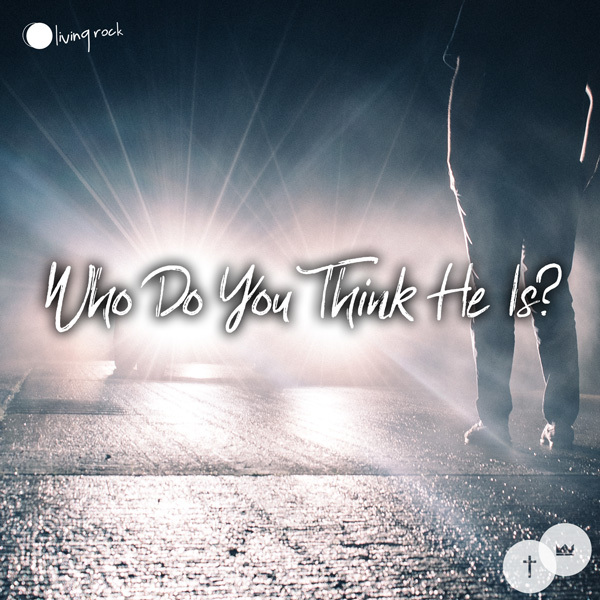 We can be identified or defined by many things, but in this message we discover how we can find out identity in Jesus Christ. Romans 8:5-17 says that Christ lives in you; the same Spirit that raised Christ from the dead dwells within us! 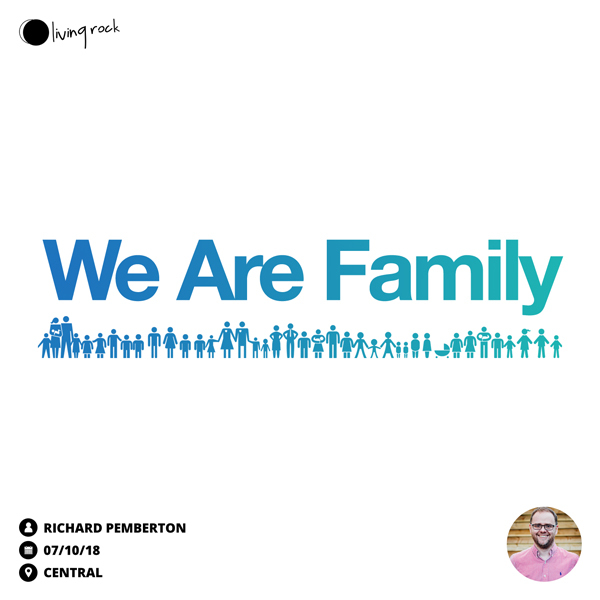 We are adopted as His own children and we are heirs of Gods glory. Once you become a new creation in Him, everything changes for the better. You’re given a new name. Your whole identity changes because you’ve been rescued and redeemed from sin and darkness and welcomed into God’s Kingdom family. If we confess that Jesus is Lord and believe in our hearts that God raised Him from the dead, we will be saved. Our hearts matter most to God, because what is in our hearts matters most to us! 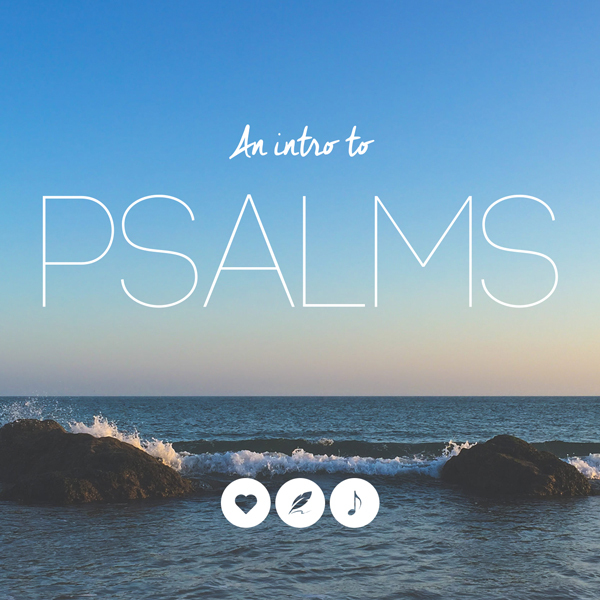 In Paul’s letter to the church in Rome, we read that God looks at the heart, and only He can truly change our hearts. 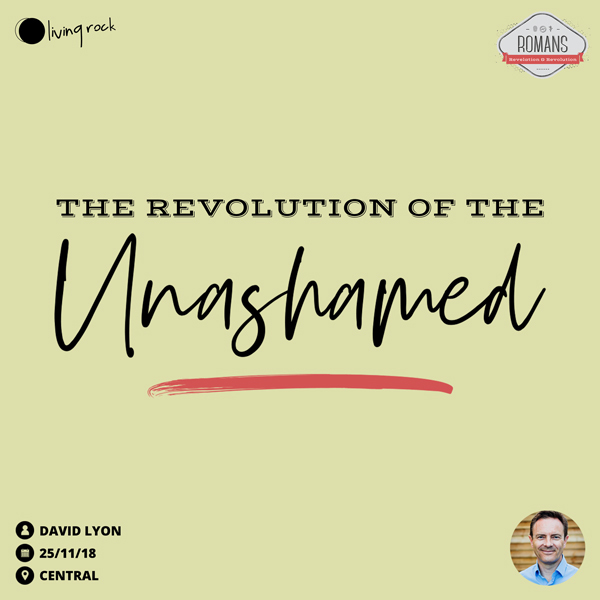 The Revolution of the Unashamed! 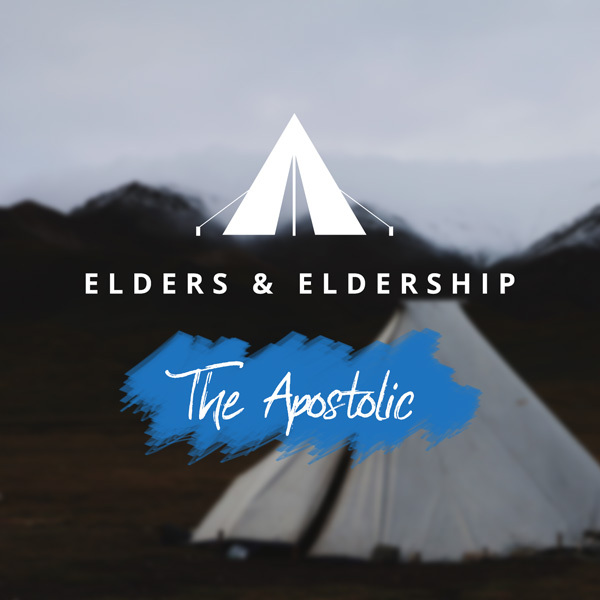 As we launch our teaching series, based in the letter to the Romans, we start by considering the background and circumstances of this great work of the Apostle Paul. 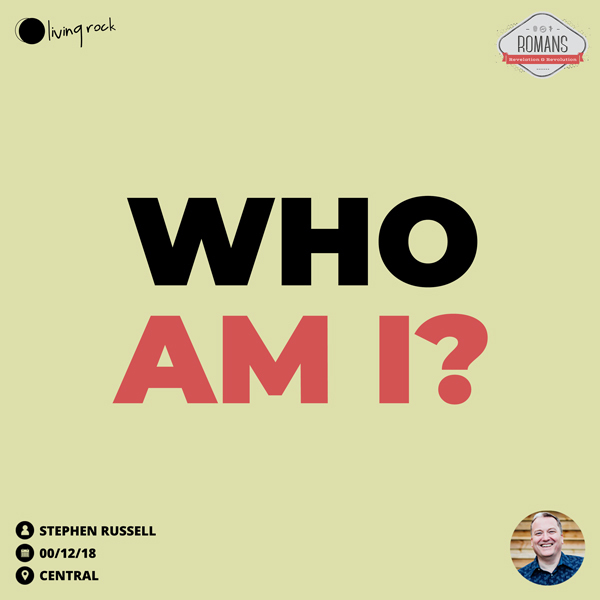 We also consider what it has to say about 3 great existential questions of our time, (1) Who am I? (2) What am I here for? and (3) What does the future hold for me? The unfolding divine revelation in these pages speaks of our IDENTITY in Christ, our PURPOSE in His Kingdom, and our DESTINY as faithful children laying hold of God’s promises for a glorious future! 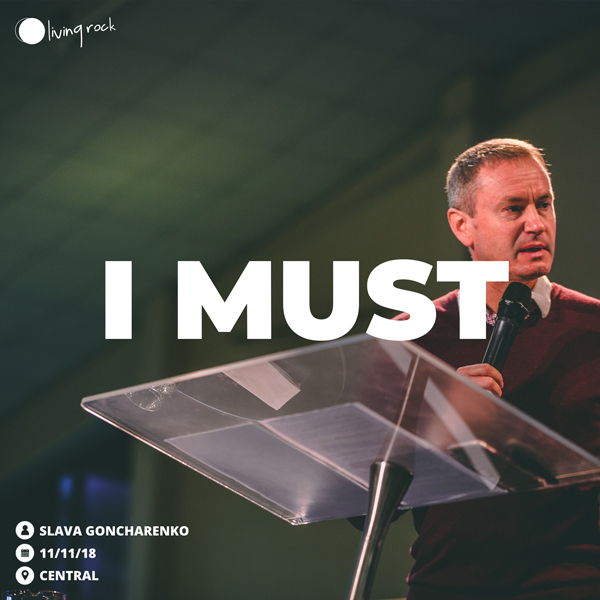 The apostle Paul describes himself as being compelled to preach the gospel (1Co 9:16) and in this message Slava talks about the joy of serving God’s purpose and making his mission the overwhelming priority in our lives. He shows us that having the attitude of “I must!…” brings the ultimate joy and fulfilment. 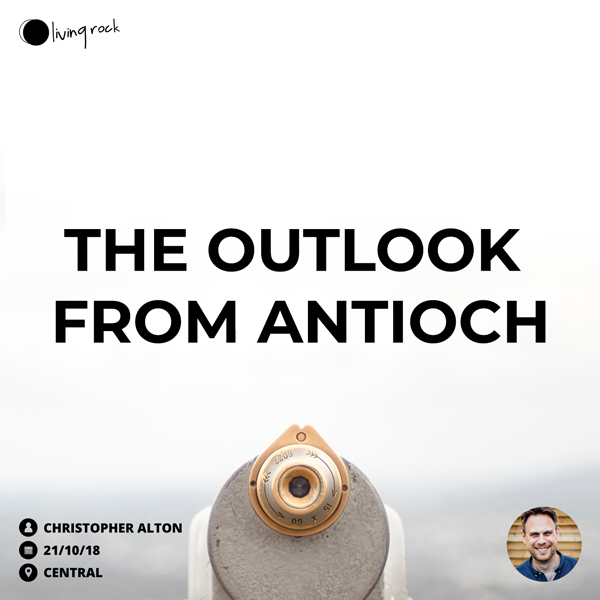 Acts 11:19ff & 13:1-3 – The church in Antioch, was expansive and outward looking from its beginnings. 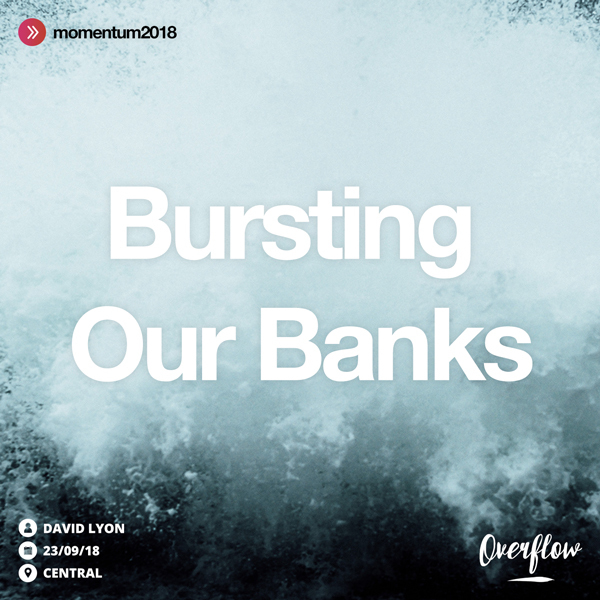 Aptly described as a ‘church bursting its banks’, Luke’s account gives us a clear picture of the prevailing culture and values that made this the epicentre of a gospel explosion across the Roman world. 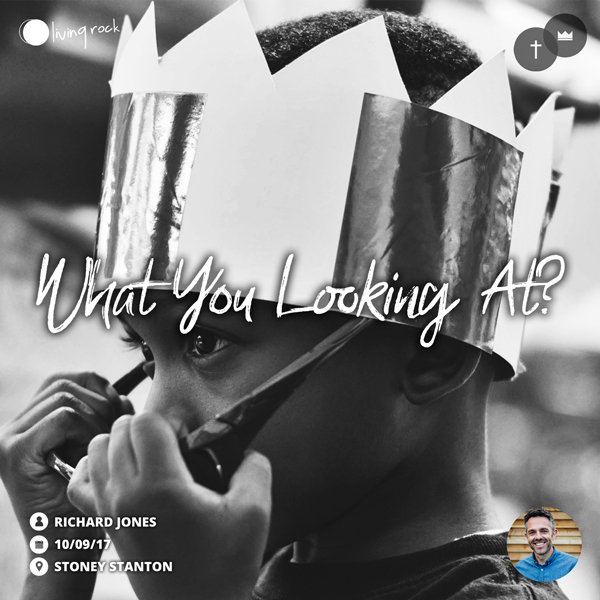 In this message we explore these features of such a vibrant, multi-gifted church to see what made them instinctively outward looking, Christ-centred and fruitfully nurtured – a place where ‘living stones’ had room to grow! 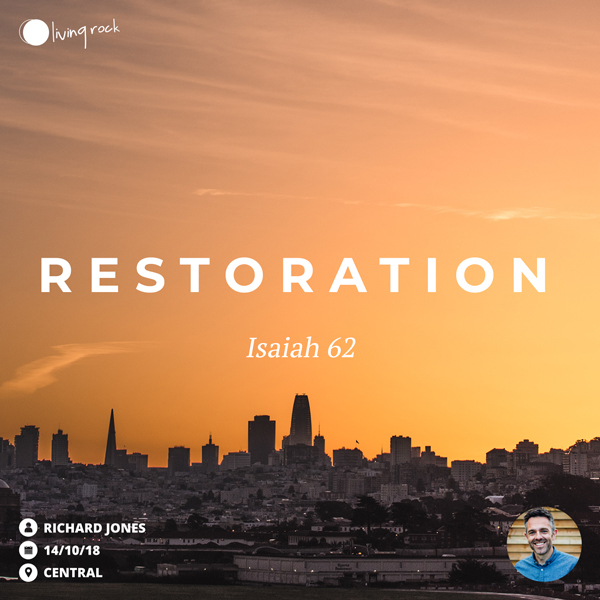 We look at the revelation that we are rooted in; considering again God’s plan and purpose of restoration and how we as His church, are the glorious City of God and beautiful Bride of Christ. 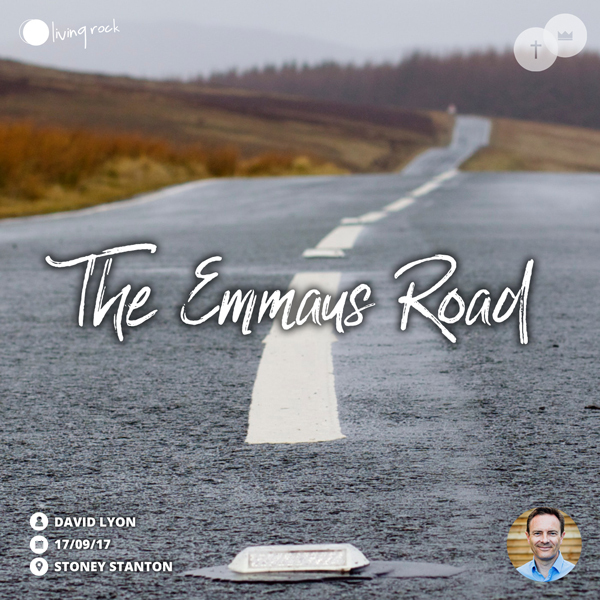 In this podcast, we explore Paul’s letter to the church in Ephesus encouraging the body of believers to see themselves as a family. We are united with Christ, chosen, adopted and we belong to Him. 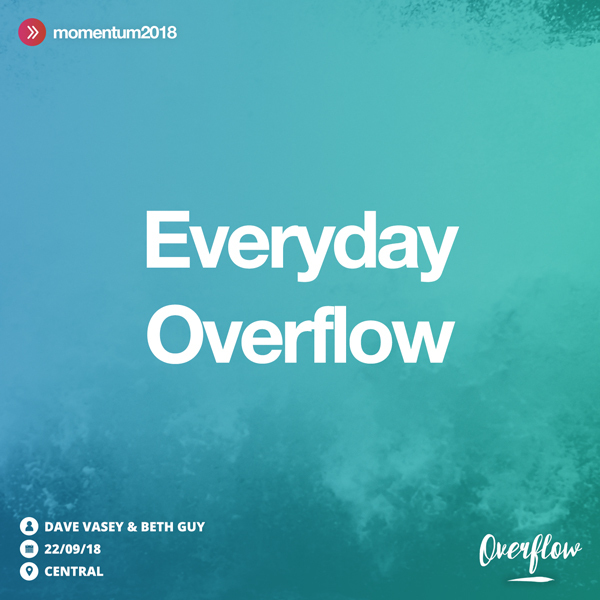 Dave Vasey and Beth Guy inspire and challenge as they describe (very practically), how the life of the Holy Spirit can overflow and impact others in our everyday lives! We are living in days where people are ready to respond to the Good News! 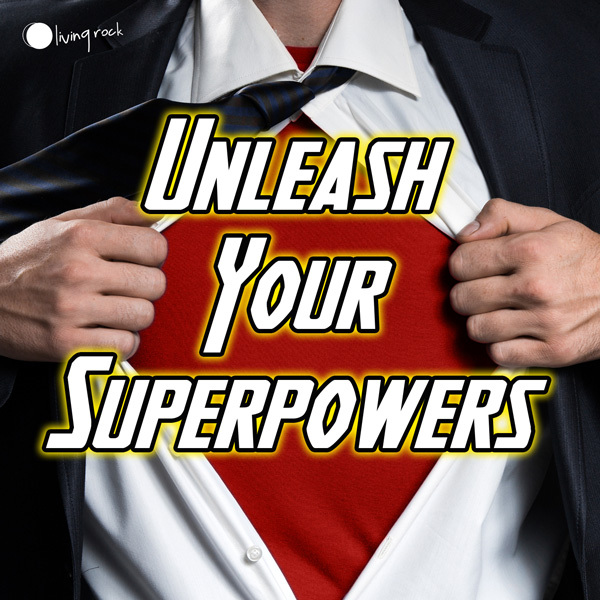 We look at how we, as Spirit-filled believers, will transform the world around us. The Holy Spirit in us is a flood that can overcome obstacles. He is a well spring that blesses and refreshes others. That the church is river to restore and bring life to our local schools, work places, communities and neighbourhoods! 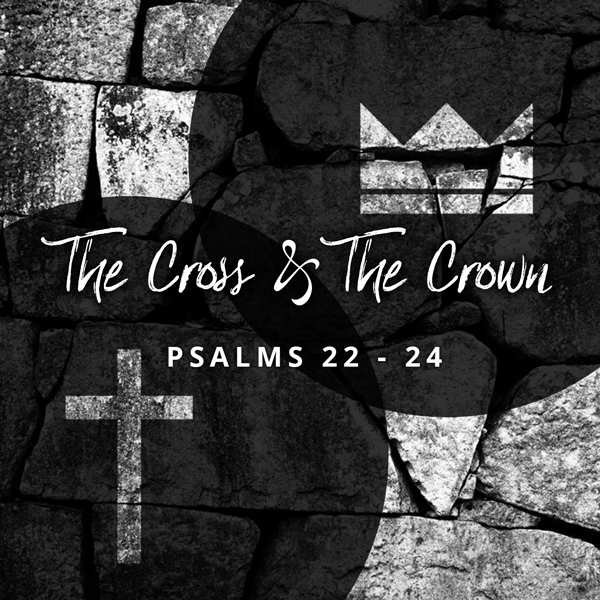 The lyrics of the song ‘These are the Days of Elijah’ are full of biblical truth to help us declare who we are as God’s people and how we are to be in the times we live in. 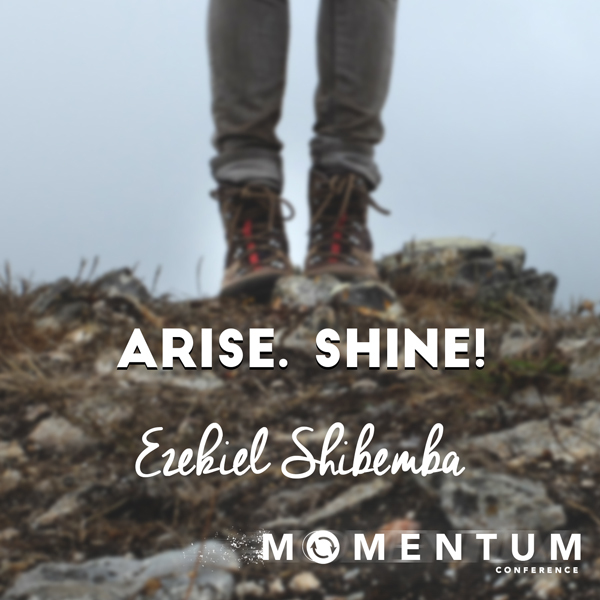 As we look at the examples of Elijah, Moses, Ezekiel and David; we see the kind of people God is calling us to be in the world today. 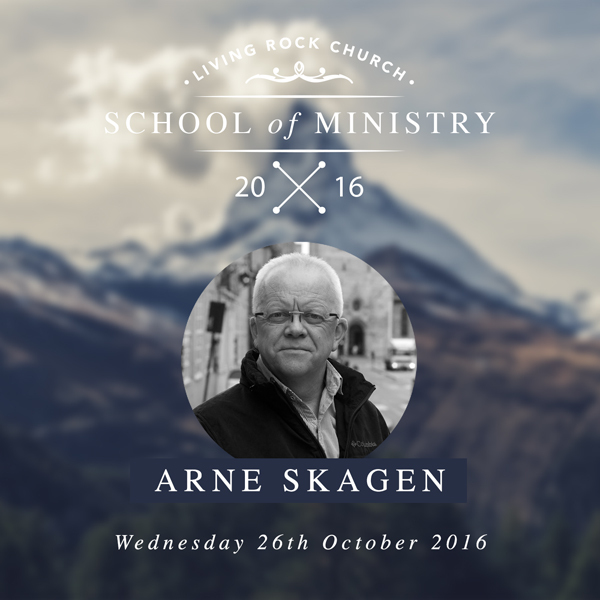 As we read the book of Acts we see a church that lives in the expectation, experience and appreciation of the miraculous. 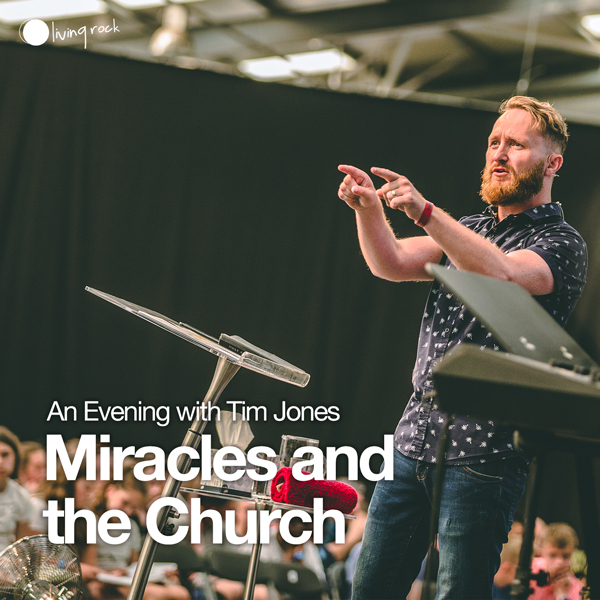 Tim encourages us to open our eyes to the miracles we see in our every day lives, and position ourselves to hear the Holy Spirit; as we do this faith and power will be unlocked for us to see even greater miracles in the church. Fear is the enemy of faith, but the Gospel is the power of God that leads to salvation! 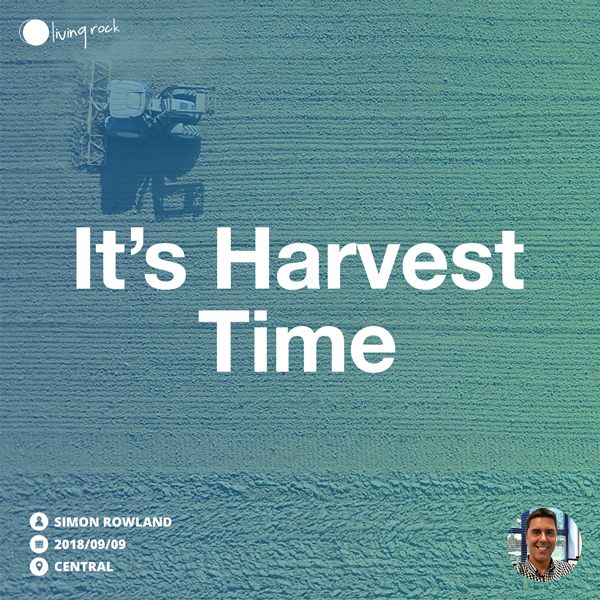 It really is harvest time and Simon takes us through the parable of the Good Samaritan and then provides 3 biblical keys to help us to be fruitful in this exciting season. 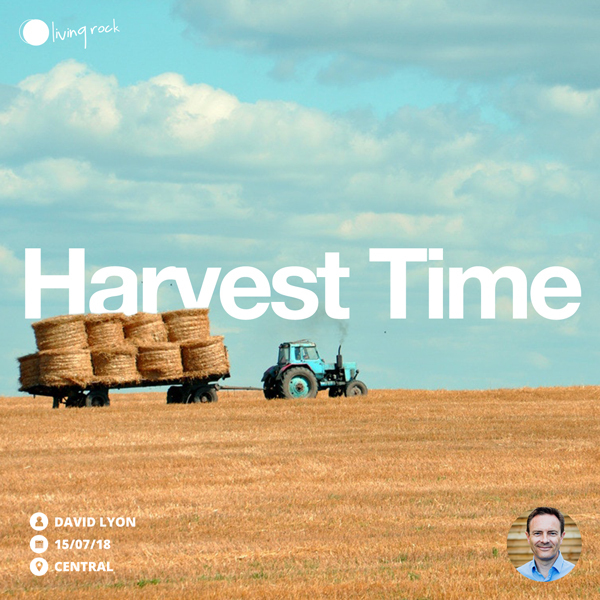 Jesus tells us that the harvest is great and the harvest is ripe! People all around us are ready to respond to the Good News of the Kingdom that we carry. Like Jesus we have the Holy Spirit and power, God is with us! As we go around each day, and go on our way; God wants us to look up, look around and see the opportunities we have to change the world around us! 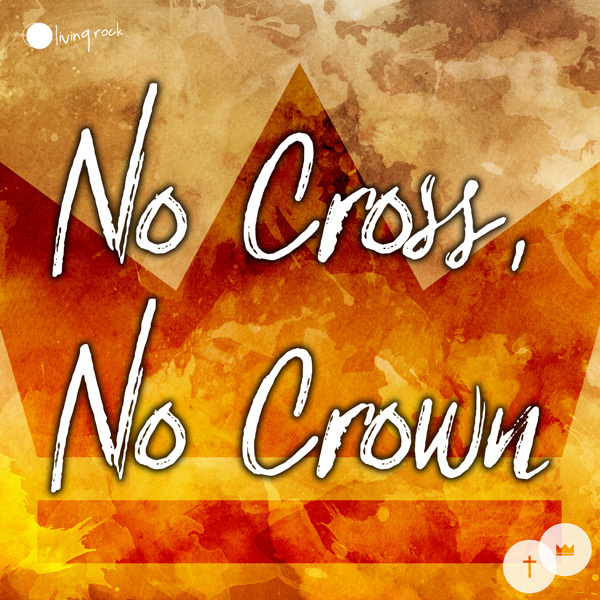 2 Samuel 11-12 tell the awful story of King David’s adultery with Bathsheba and his attempts to cover things up afterwards, before being confronted by Nathan the prophet. 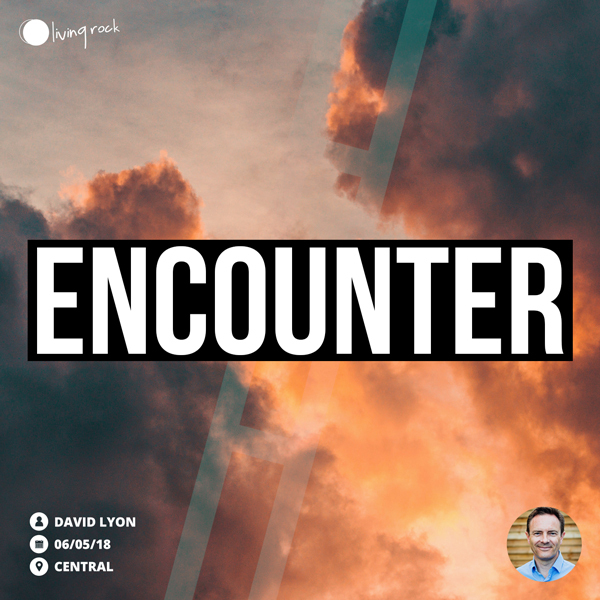 “I have sinned against the Lord”, David finally admits, and Psalm 51 is his heartfelt prayer of repentance; the public outpouring of a contrite heart in all its humiliation. 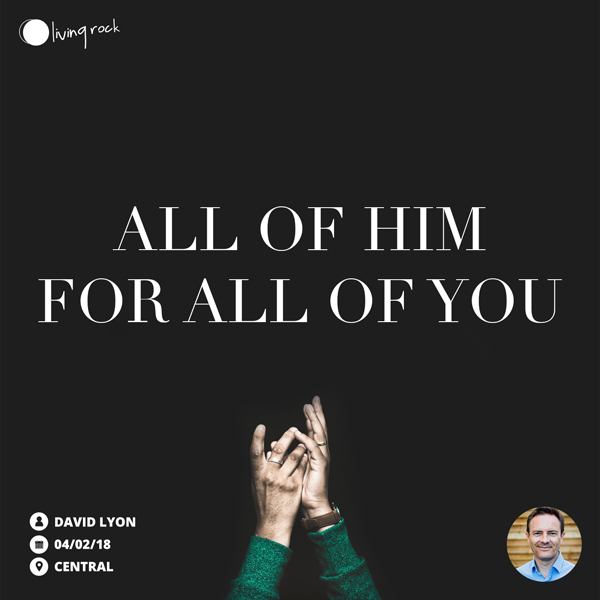 David was forgiven and restored, and enjoyed many more years of fellowship with His beloved God. 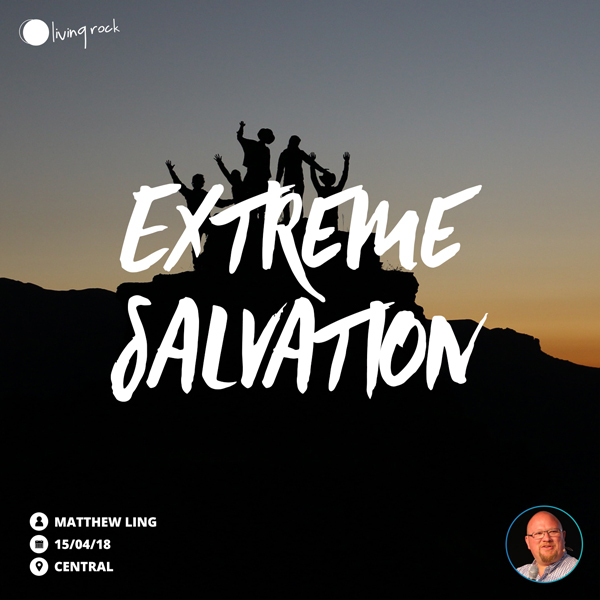 This tragic episode serves as both a warning and an encouragement to all God‘s people. On the one hand, sin is no respecter of persons, and we must be aware of our weak-spots. Nevertheless, however we may have fallen and whatever the past, when we come clean with the Lord there is bright hope for great future! 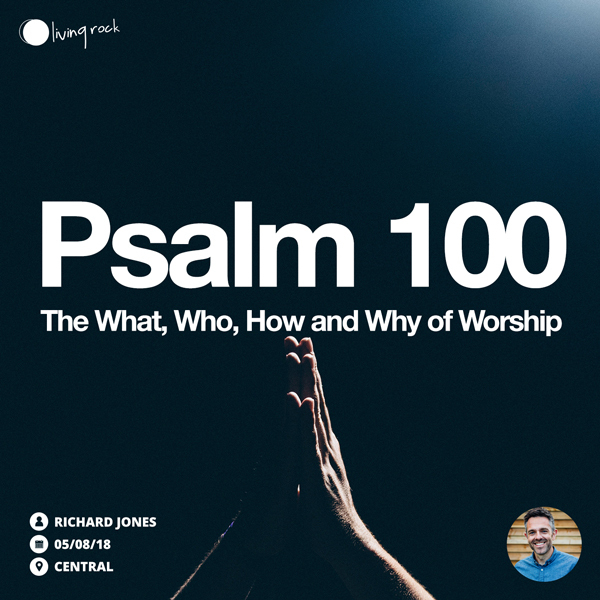 Using Psalm 100, we look at What worship is as an expression, Who it is that we have been created to worship, How we should come and approach worship, and Why God is so worthy of all thanks, worship and praise! 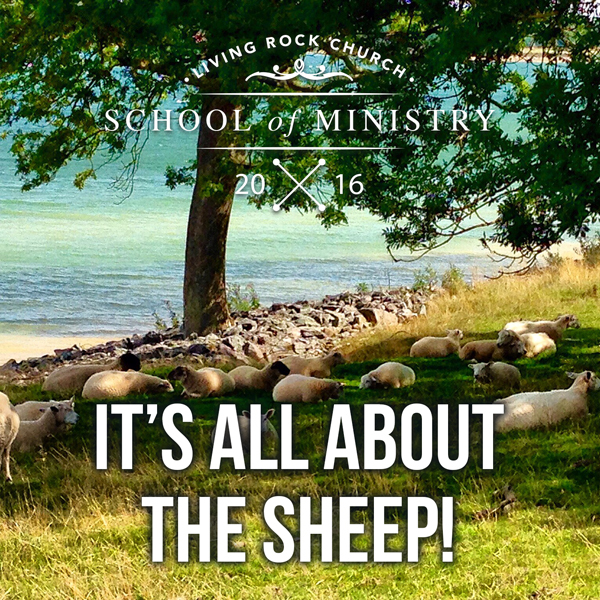 When we accept Jesus into our lives, we are given access to the most amazing rack of spiritual clothing to help us walk as God intended. In this message, Ben takes us on a whistle-stop tour of Joseph and his different outfits… and how he doesn’t get distracted en route to fulfilling God’s purpose for his life. 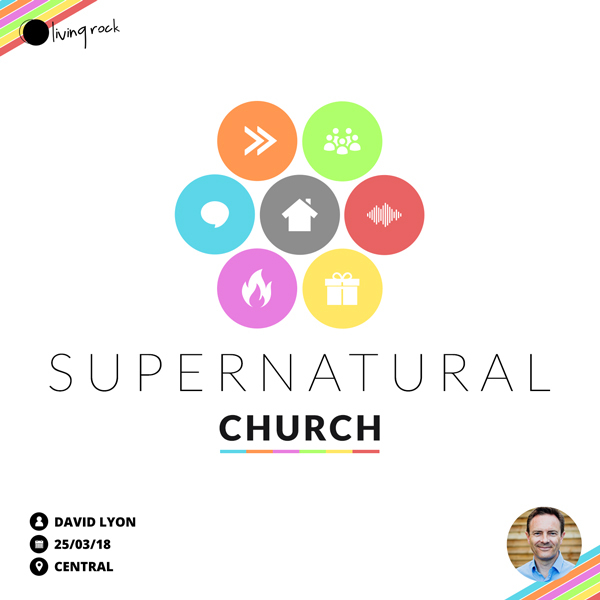 The supernatural church speaks with an authoritative, faith filled, supernatural voice. A voice with the power to proclaim that what is already bound in heaven will be bound on earth and what is already loosed in heaven will be loosed on earth. 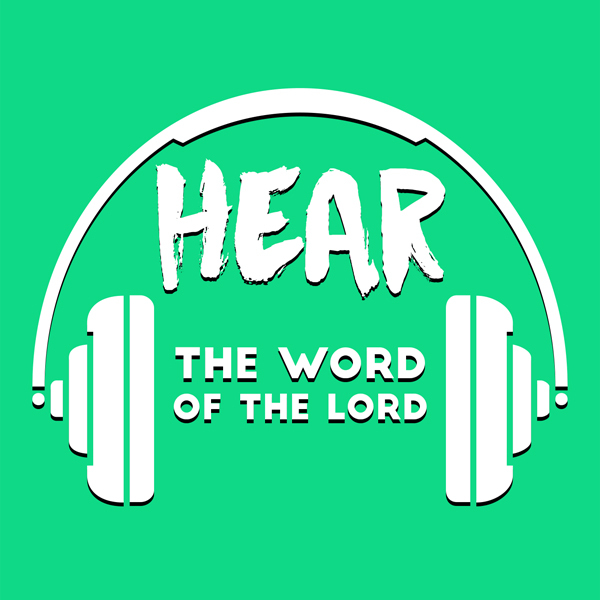 As we draw near to God to hear His heart, we can boldly speak the word of God with the assurance that the Spirit of God is ready to bring dynamic life and power to the words that leave our mouths. In Hebrews 10:19-25 we see that, because of Jesus, there is a perfect provision for us as God’s people to boldly enter the Most Holy Place. 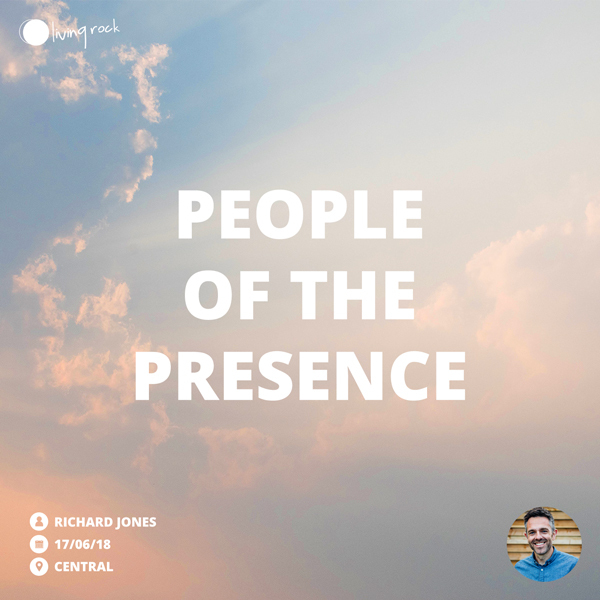 We look at what this means for us and how we can experience wonderful God’s Presence together. Over recent months the Lord has been drawing us further into His presence, around the throne, where there is everything we need. 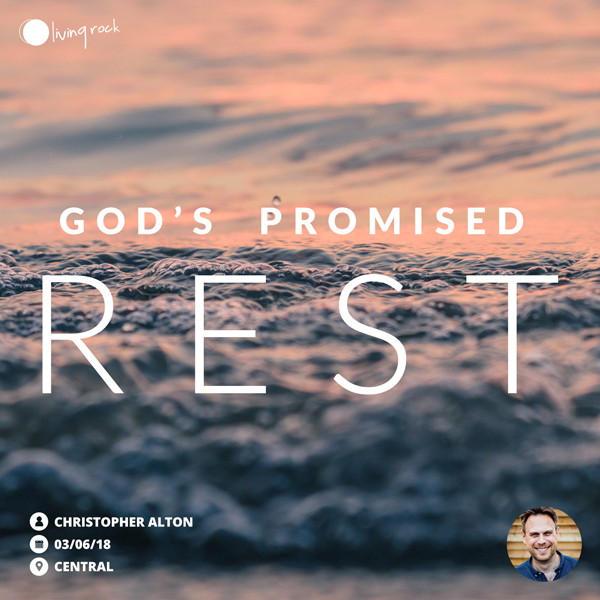 One of those essential things is God’s Promised Rest. In fact, we find in the letter to the Hebrews (3:7-4:11), that there is an ever-present invitation to join Him in ‘His’ rest. 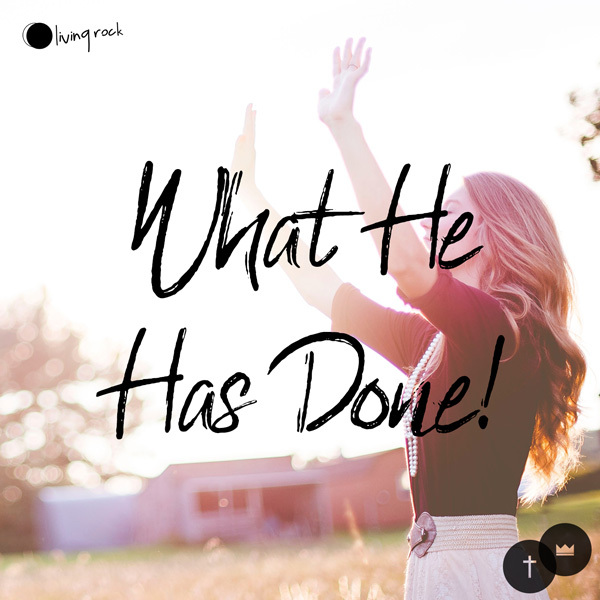 From here we take a journey through the Scriptures to see want this means, and how finding this rest will impact our past, present and future. 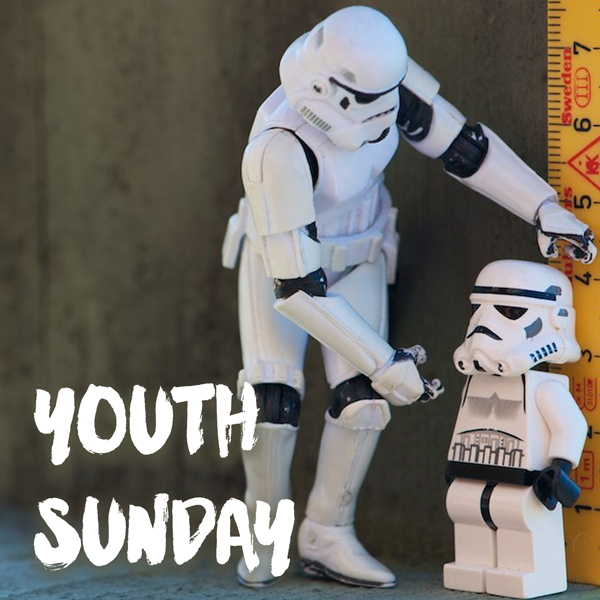 The small letter of Paul to Titus contains a big message for our day! 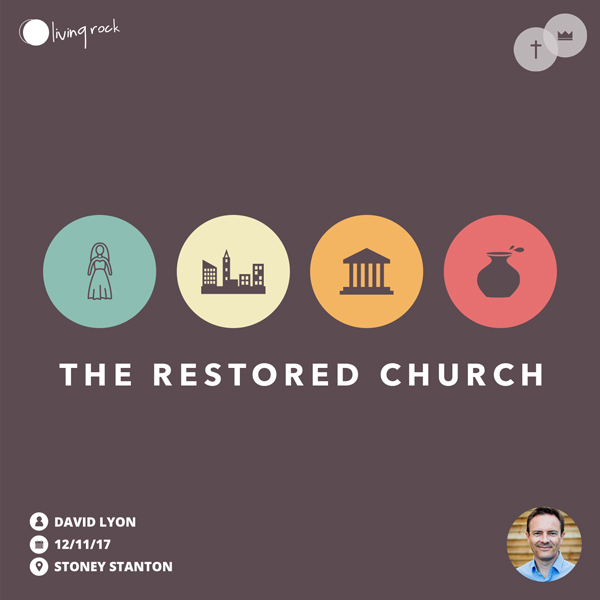 The church is to be built on SOUND TEACHING and to be devoted to GOOD WORKS. 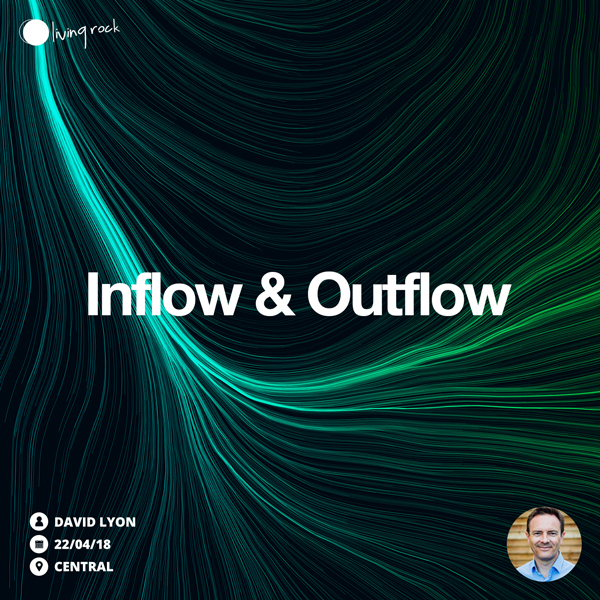 This is the vital ‘inflow’ and ‘outflow’ that ensures we stay healthy and fruitful. 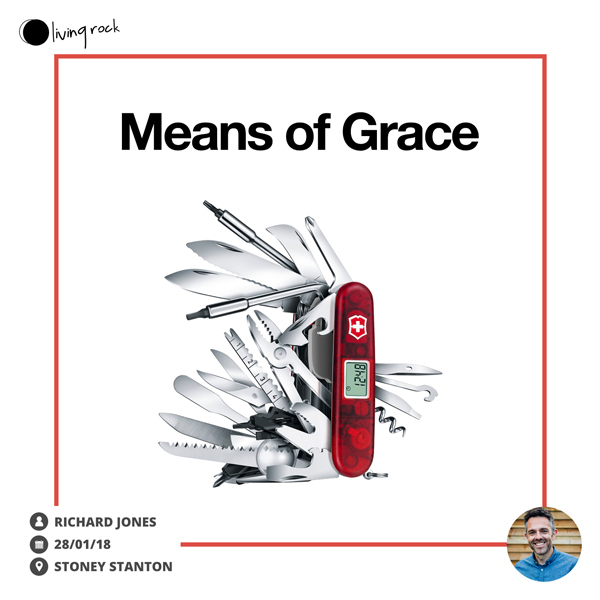 We must remain biblically balanced in our joint-focus on the Message and the Mission – and be ready at all times to meet the urgent needs that are all around us. 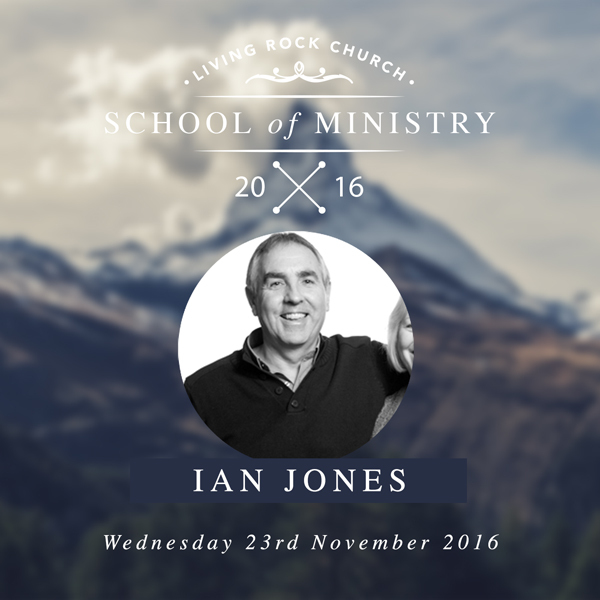 When we truly realise the extreme work God has done in us then we can live in the fullness of our calling to bring God’s glory into the world. 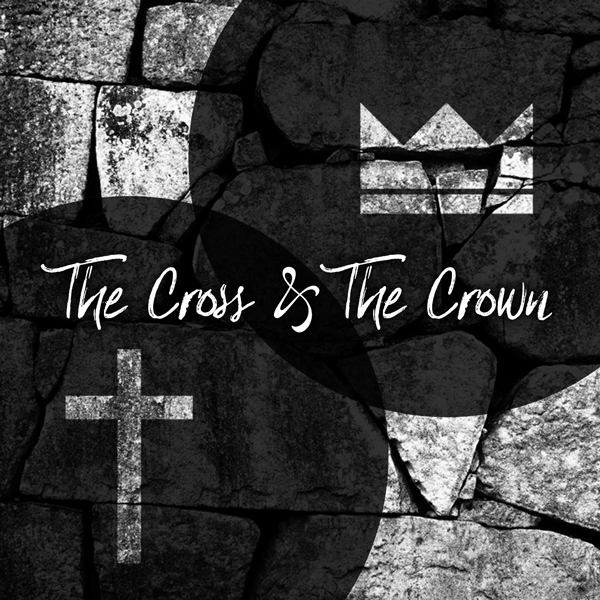 Hebrews 4:14-16 – Approaching the Throne of God is an awesome thing! Thankfully we can do so because we have One who has gone before us, securing our inheritance and our acceptance forever. As we approach we need to hold fast to a confession based on the Word of Truth about who He is, and who we now are (in Him). 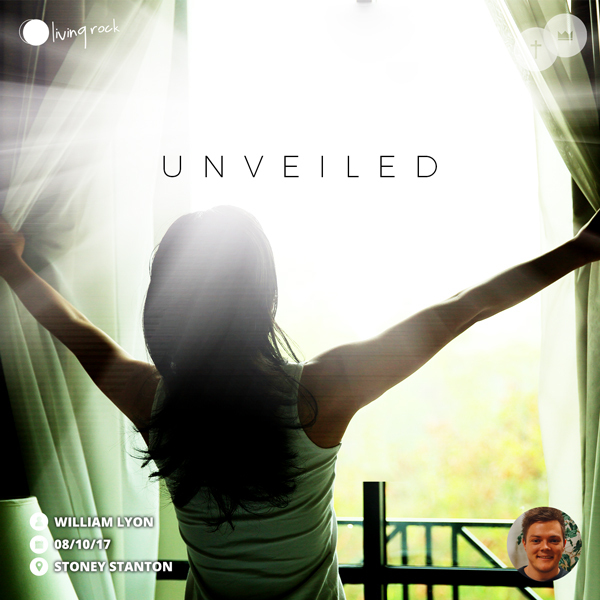 By embracing Jesus’ humanity, as well as knowing we are accepted we can also know we are fully ‘understood’. By a revelation of such things we can learn how to lay hold of the Grace of God, in its various forms, not only for ourselves, but also for the world He loves and came to save! 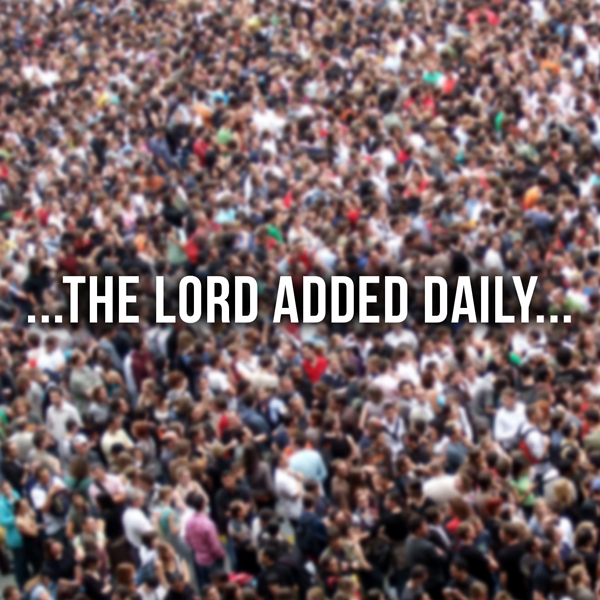 God sent Jesus so that we can have an abundant life, lived to the full. He has plans for us to live a life full of joy, love, victory, power in close relationship with Him. 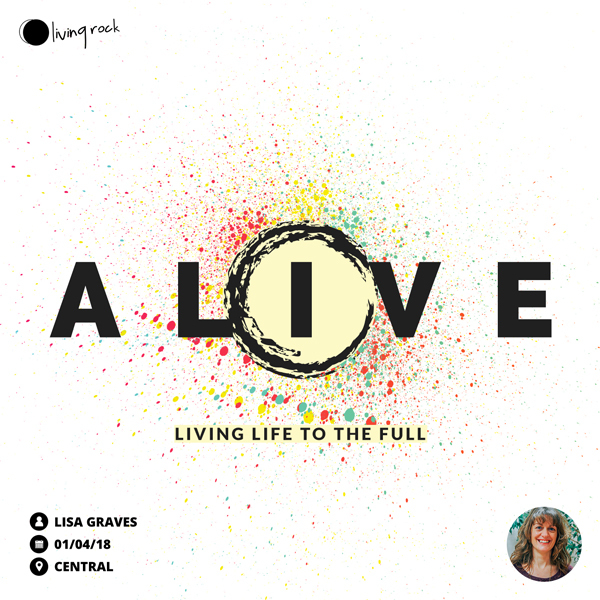 In this podcast we consider how we can live this full and vibrant life God has for us. God’s creation of “heaven and earth” (Ge 1:1) was a two-fold manifestation of Himself, and His eternal purpose is the harmony of things on earth with things in heaven! 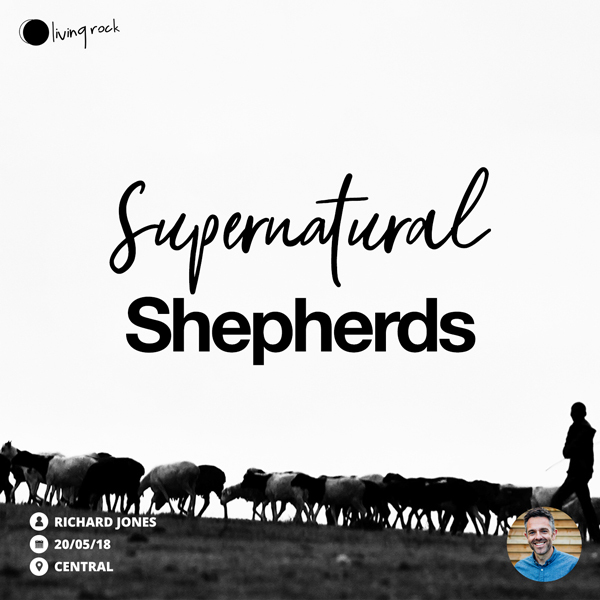 This purpose finds it fulfilment in His supernatural church: people born from above; the dwelling-place of the Spirit (Eph 2:22); the Body of Christ extending His Kingdom on earth as it is in heaven. 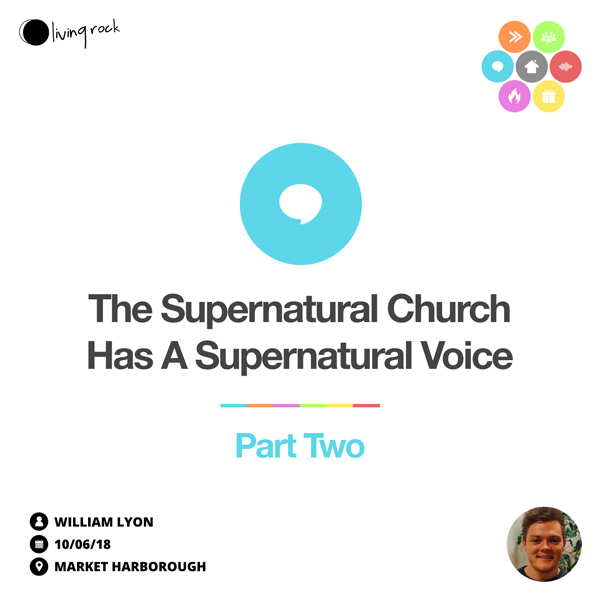 In this message we consider how the Holy Spirit is at work in the church and how He wants to lift us into a new dimension of purpose and power. The bible tells us to ‘Honour your father and mother’ on a number of occasions. 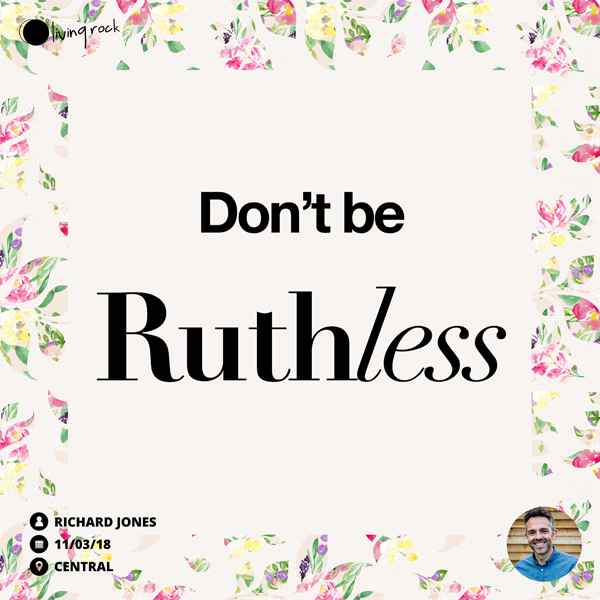 As we celebrate Mothers Day, we look at the wonderful story of Ruth, learning for her example and seeing how much God really values honour. 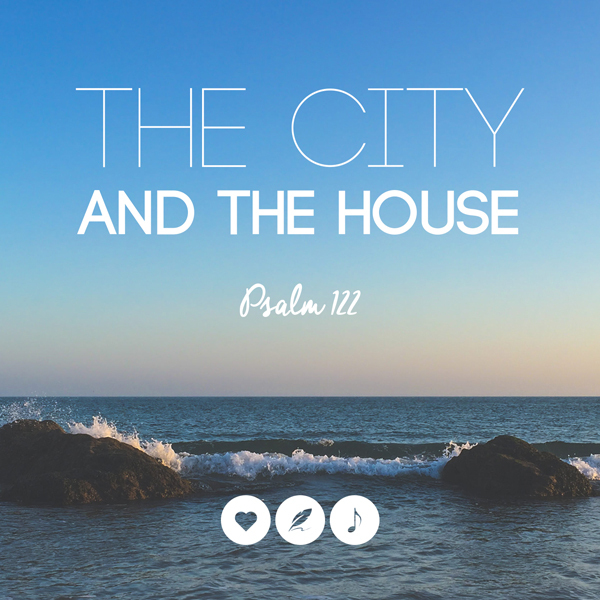 In these days the Lord is impressing upon us the importance of spending time around His throne together. 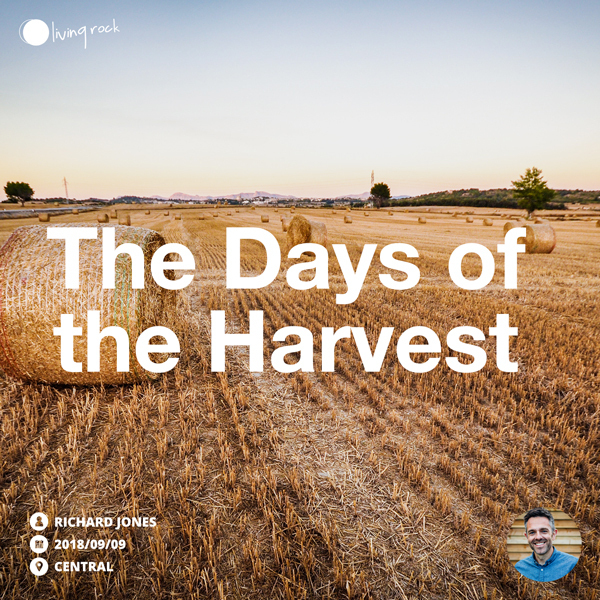 The writer to the Hebrews (8:1-7) shows us the reality of what this means, whether we gather in twos or two-hundreds. 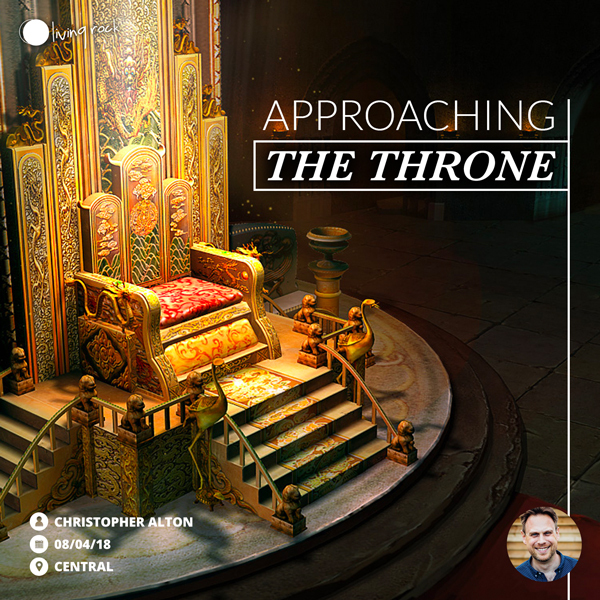 It is a place of REVELATION – where the Lord wants to show us who He is and who we are in Him, of TRANSFORMATION – where our line of sight and our thinking comes into line with Spiritual realities, and COMMISSION – where the Lord wants to equip and instruct us, so that we can build according to the pattern He has shown us around His throne. From this place Mission becomes for us, simply an overflow of the Holy Spirit’s life within us. 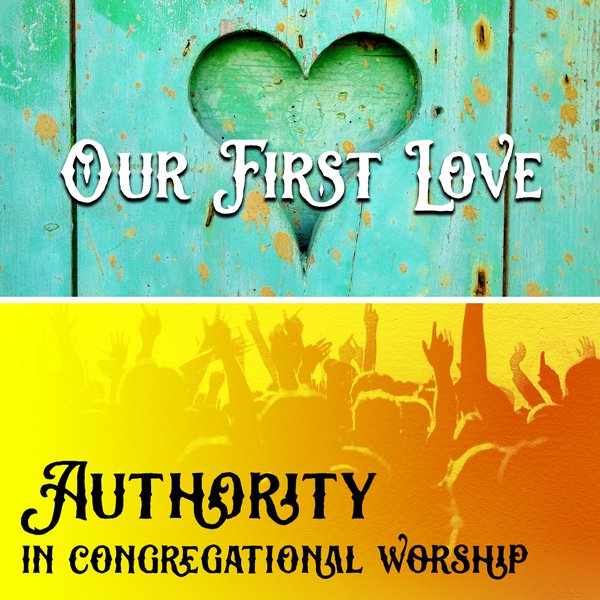 We learn from Psalm 84, why the Sons of Korah had a profound appreciation of and desire for the presence of God and what this can mean for us today. 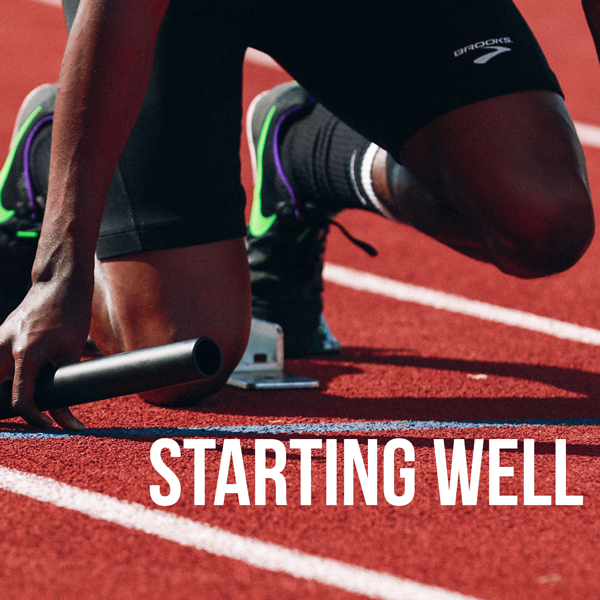 There are many physical and natural activities that the Bible instructs us to do, e.g. 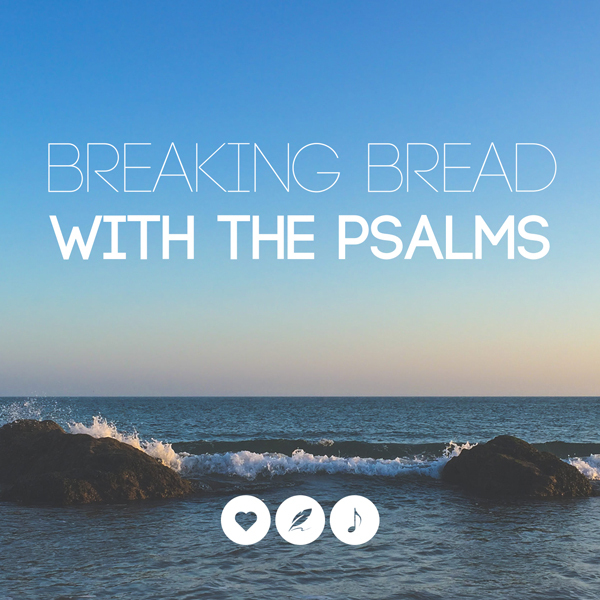 fasting, sharing the Lord’s Supper, anointing with oil, caring for the sick. They key is that when we do these things, we apply our faith and obedience to the Spirit of Christ. They become a means of grace; physical acts that carry real spiritual power and significance and set us apart as God’s people! The story of the Israelites is the story of ‘our forefathers’ says the Apostle Paul (1 Co 10), laden with warnings and promise. 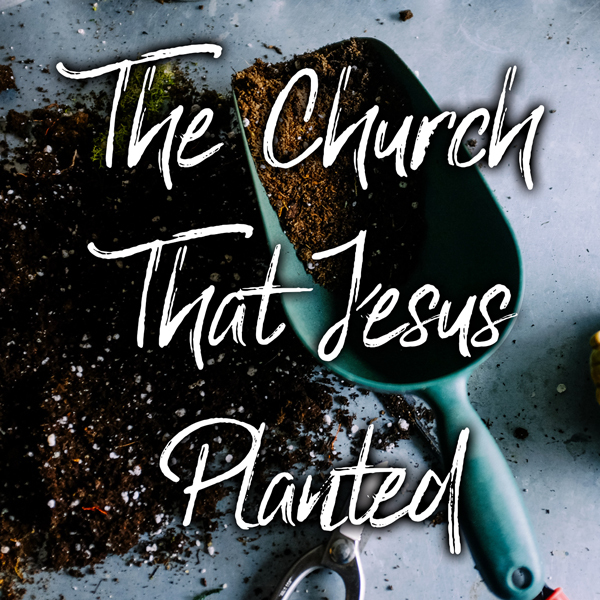 From God’s first promise to Abraham, the Apostle traces the history of his own people, including the ups and the downs, to show us God’s intended fulfilment through Abraham’s Seed, Christ Jesus. 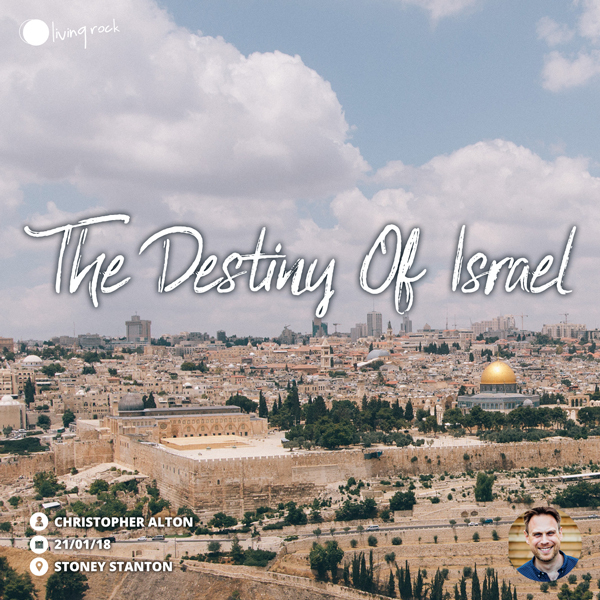 It is the story of a loving and faithful God whose GRACE to Jew and Gentile alike is displayed, and of RESTORATION, as Paul shows us God’s great plan to bring a future remnant from Israel back to Him, through Jesus. 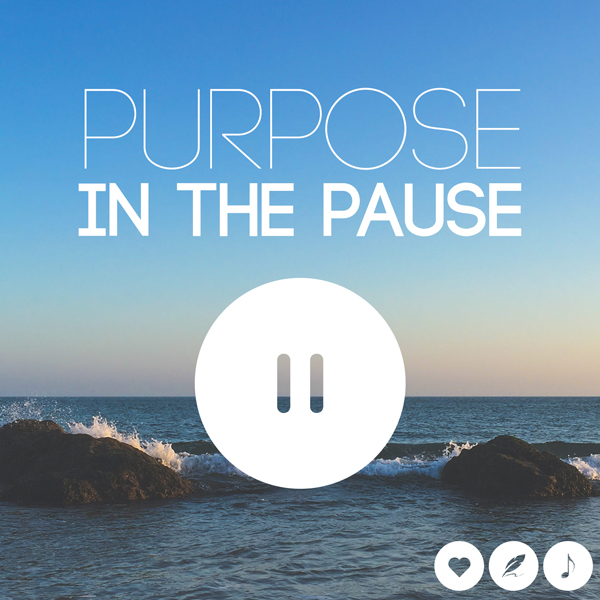 In these critical days God wants us to keep pace with what He is doing. Our job is to ensure that we practically facilitate everything the Holy Spirit wants to do. 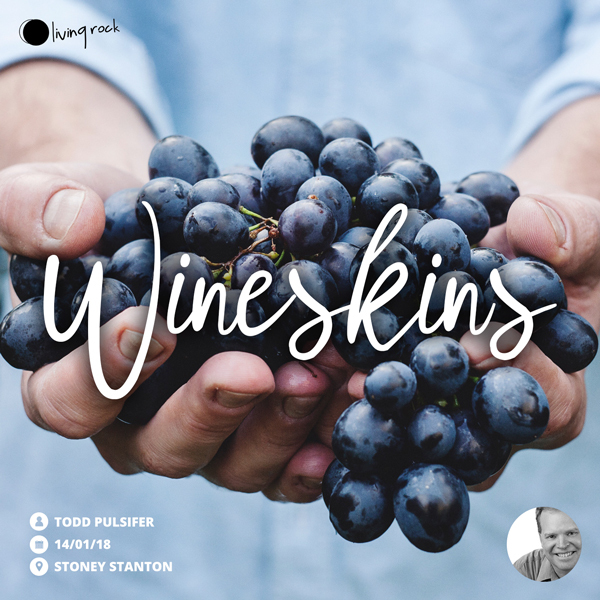 That the wineskin is suitable for the new wine! 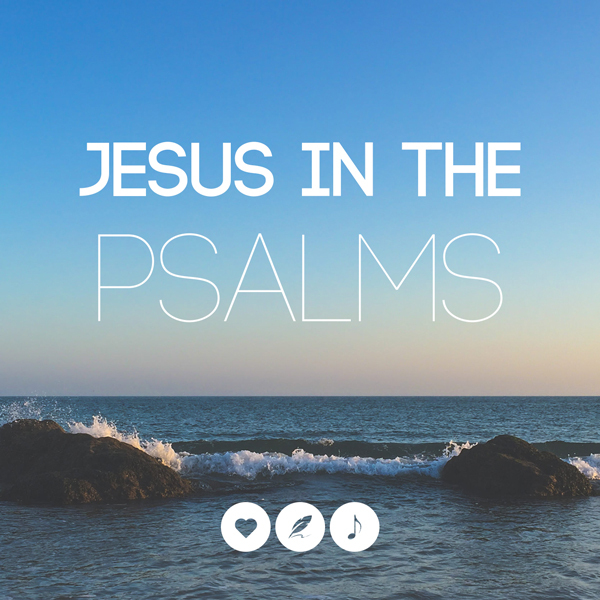 In Luke 2 we read how two faithful servants of God hold onto His amazing promises. 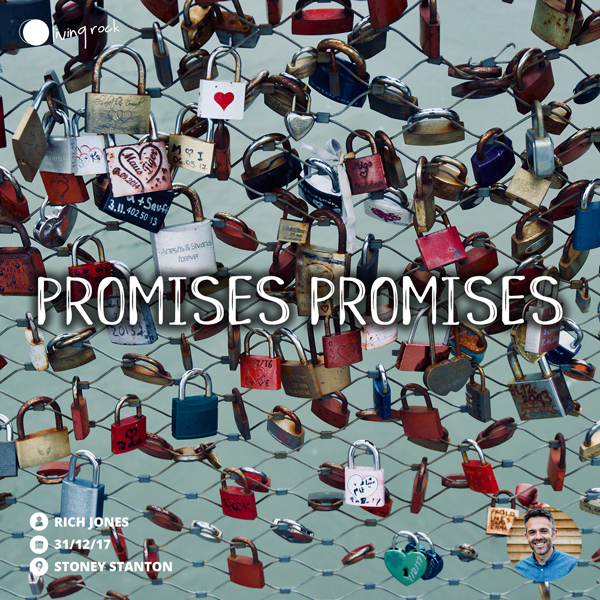 We consider how being people of promise keeps us alive, alert and active! Revelation 19 shows us a picture of the Bride of Christ, which is His church. We see that a day is coming where we will have made ourselves ready for His return, but what does that mean for us today? 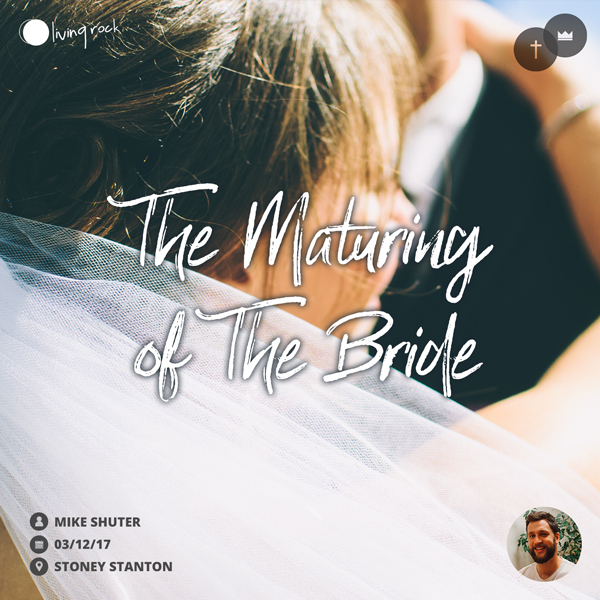 How do we make ourselves ready to be the Bride that Christ deserves? 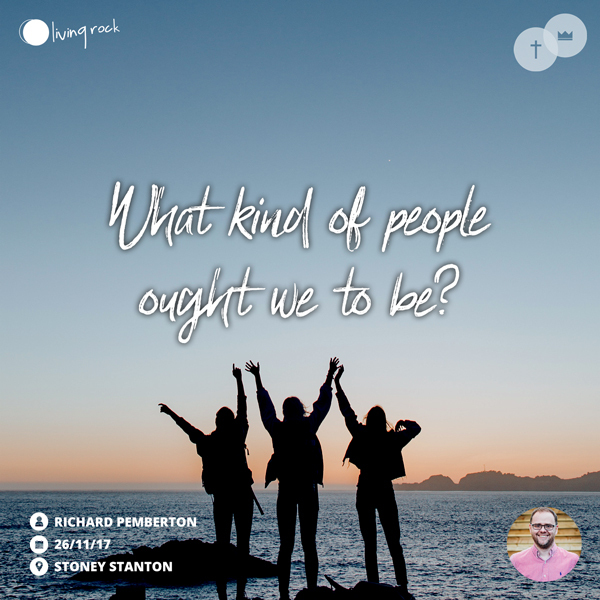 What kind of people ought we to be in the light of His return? 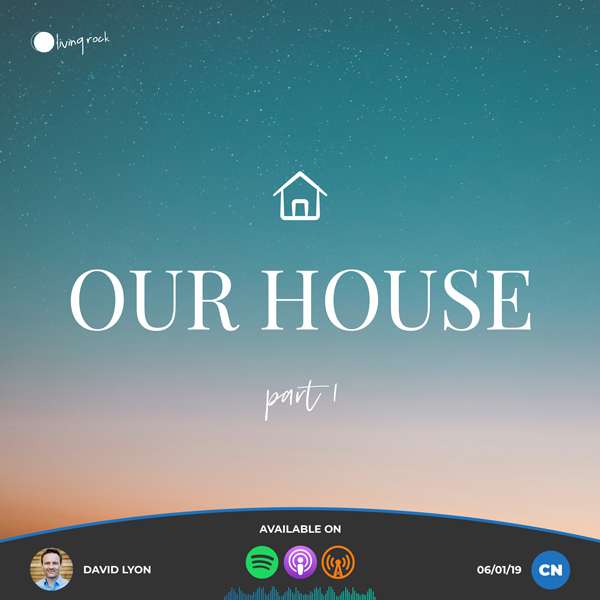 In this podcast, we explore the essential framework needed to be in place in order for us to be productive in playing our part in God’s purposes for our lives. Viewing the world through the lens of mission means very little unless we have the frame in place to support the lenses. 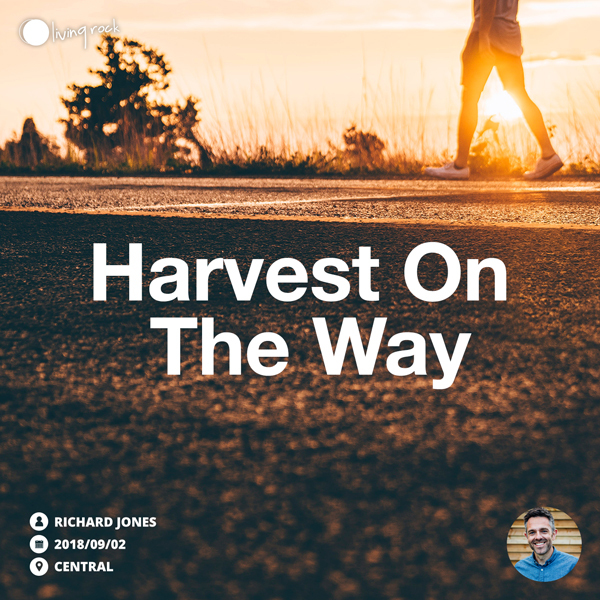 We explore several themes which will help us focus our time and priorities better and be more productive in our time here on earth between His ascent up to heaven and our wait for His return! 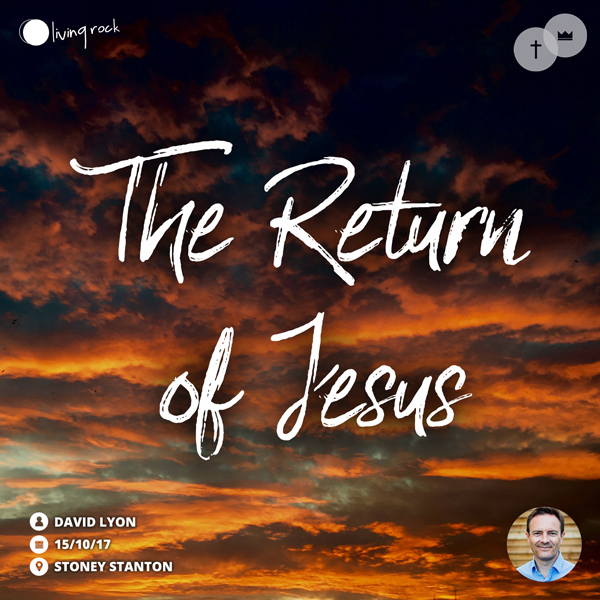 Jesus is coming back! We look at the nature of Christ’s return and why we should anticipate and prepare for this awesome event with great eagerness and excitement. 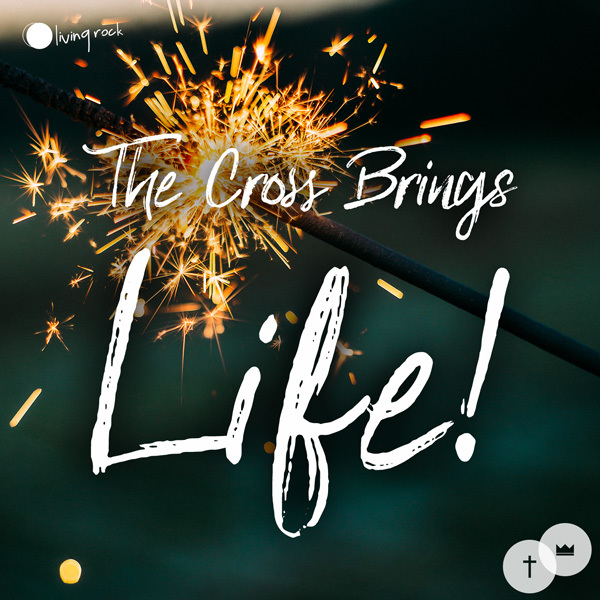 The Cross has changed everything, including how we are to perceive every aspect of life! 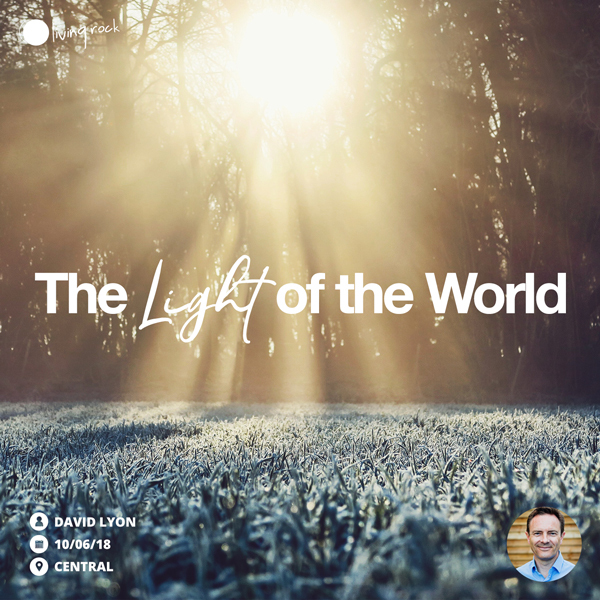 We consider how this can rightly impact our view of God, ourselves, our future and purpose, the mission, the situations we face, other people, and the world around us. 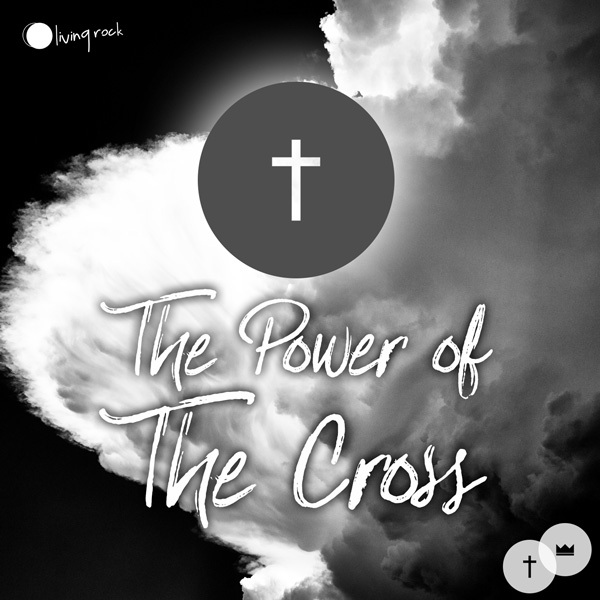 We must learn to look at all things through the lens of the Cross of Jesus Christ. 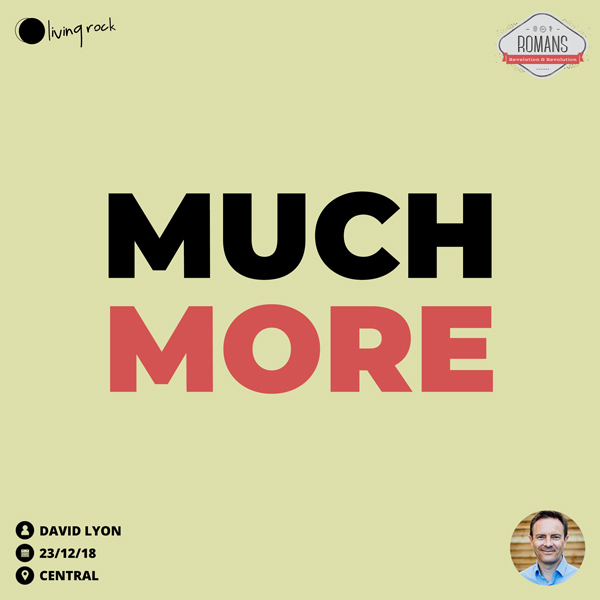 Recently the Lord has been speaking to us about seeing all things through the Cross, but also moving out of ‘maintenance mode’ into ‘mission mode’. 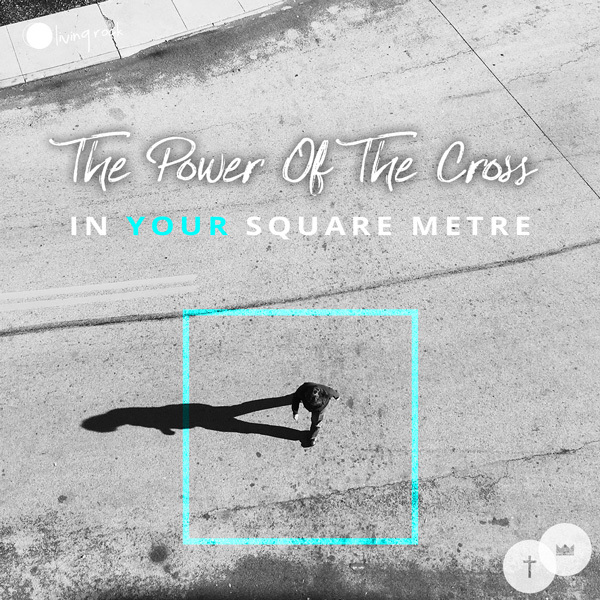 At the heart of the Mission, is the Cross. 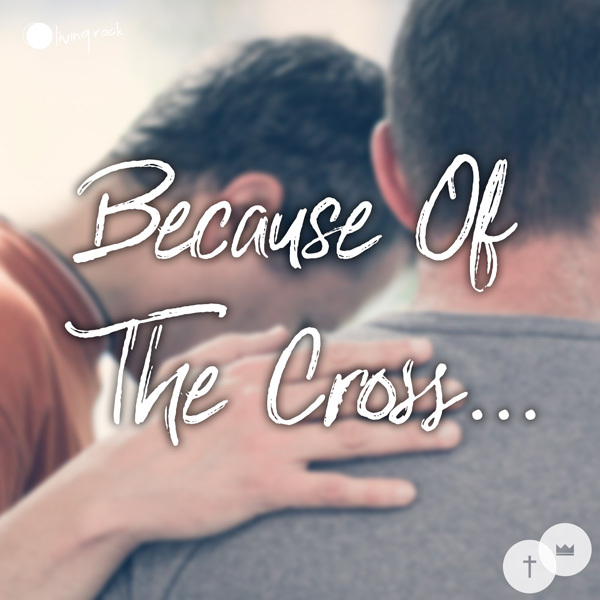 And the purpose of the Cross is the Mission. 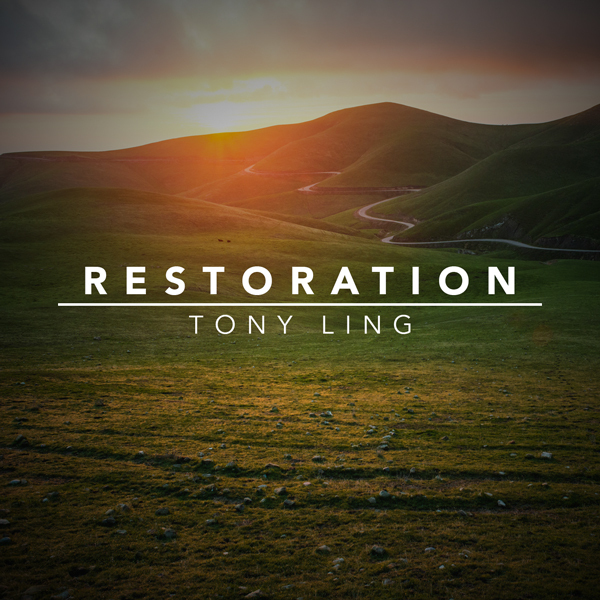 We have been co-Missioned by Jesus, to continue His great work of restoring all things to God. 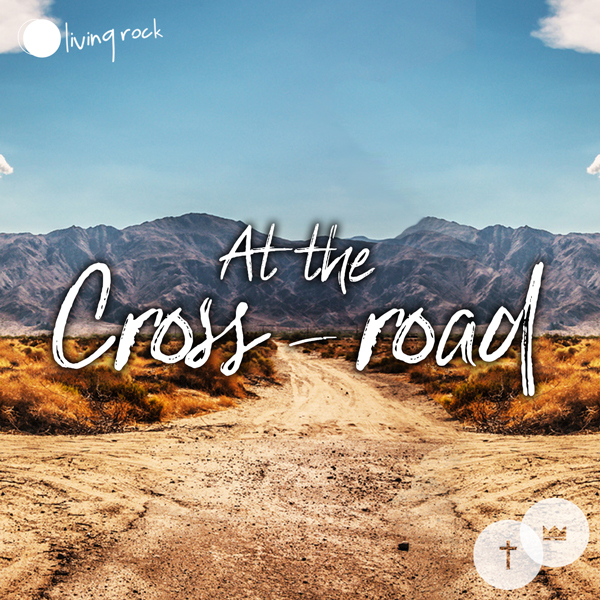 In this message we look at Paul’s words, to the Philippians (2:6-11), describing how Jesus embraced His own co-Mission from the Father, by embracing the Cross – inviting us to do the same. 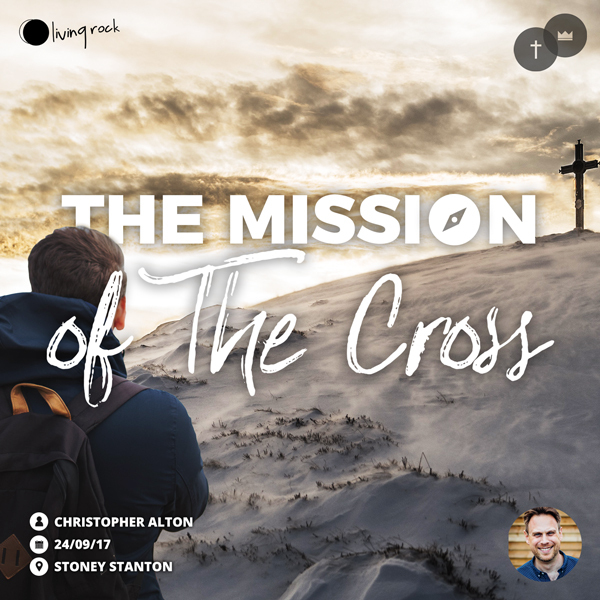 We consider how we should therefore view the Mission through the ‘lens’ of the Cross, and approach the Cross in light of the Mission. Luke 24 tells of two ordinary disciples who met the risen Lord Jesus on their way to an obscure village near Jerusalem. 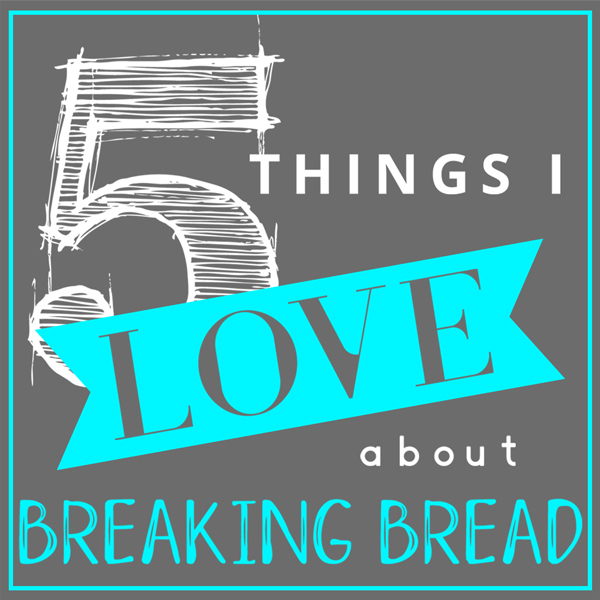 Along the way He addresses their sadness and disappointment, before revealing His identity to them in the breaking of bread. 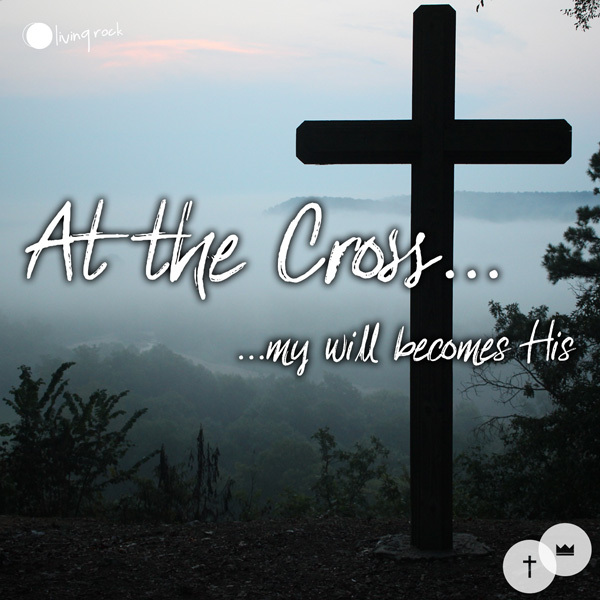 The Cross of Jesus Christ changes everything. 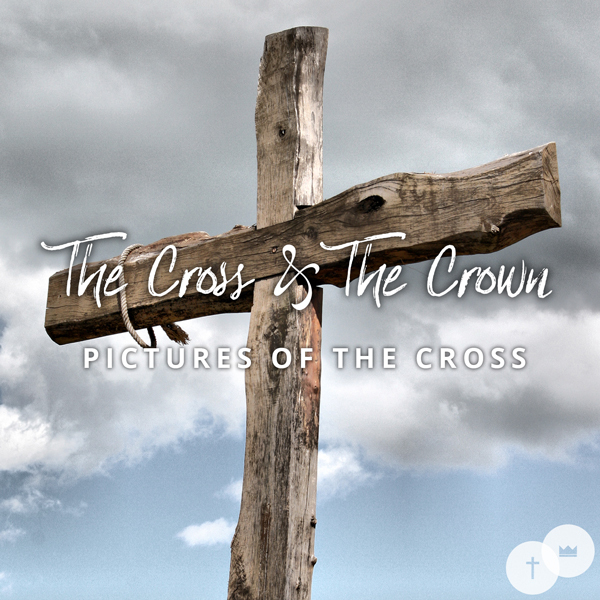 When we look through the lens of the Cross it changes how we see God, ourselves, one another and the world! 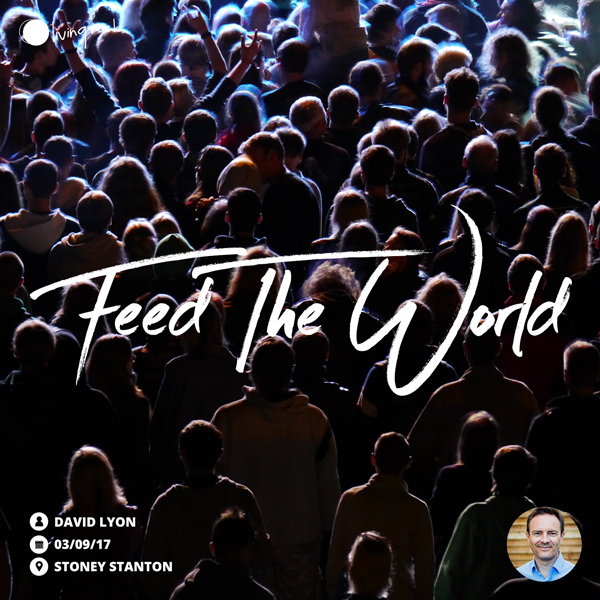 The feeding of the 5000 was a miracle of unprecedented scale and impact, and tells us vital things about the mission of the Church in these critical days. We’re here to FEED THE WORLD and In this message we’re challenged to do so with as much compassion, bravery and generosity as Jesus Himself. 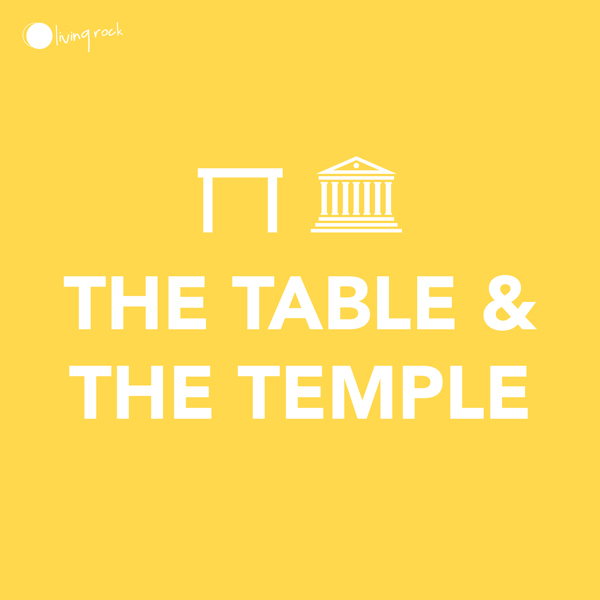 In 2 Chronicles 5 and 6 we see the impact of a completed Temple and the provision of God that was there, but also can be found at the Table as we break bread together today. The Covenant Meal is about Remembrance of what He has done, our Royal identity in Him and Rejoicing in all he accomplished. In Jesus, we are made alive together in fellowship and in union with Christ, raised up together with Him and are seated together in the heavenly realms by virtue of our being in Christ Jesus. 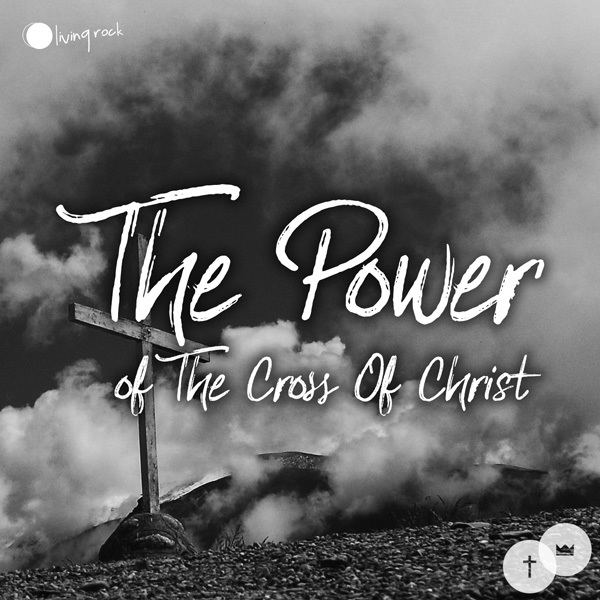 The Cross of Christ must be understood within the wider perspective of God’s eternal plan, and in this message Roger shows us how God stripped His enemies bare, displayed His power in the supernatural realm, and dealt with human sin – in order to use us in His purpose. 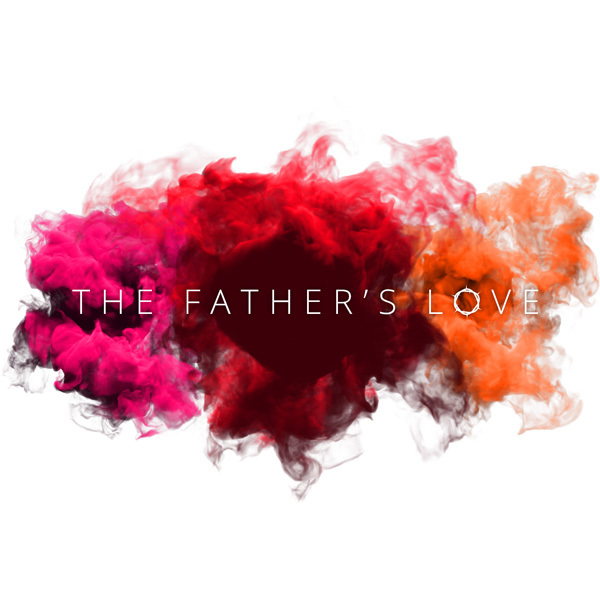 The Father sowed His Son, in order to reap a family of sons. Our revelation and appreciation of all that Jesus achieved for us through the work of the Cross must have a very practical outworking. 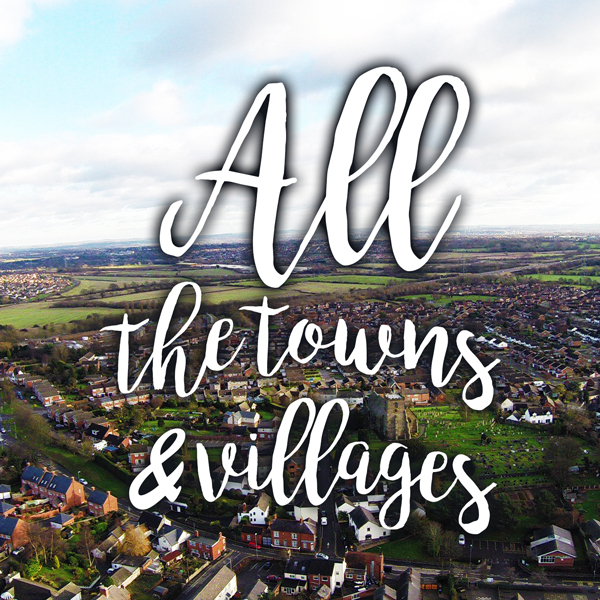 What does it mean for us here and now and how does it affect the kind of church we are building in our locality? 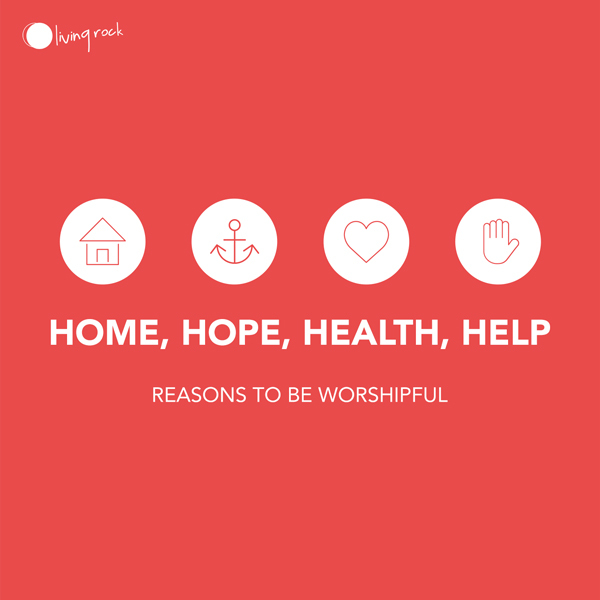 In this message, we consider some of these things including the way we love and care for the lost, our experience of healing and the way we relate together as God’s family. Far too often we feel the need to see something before we will believe it. 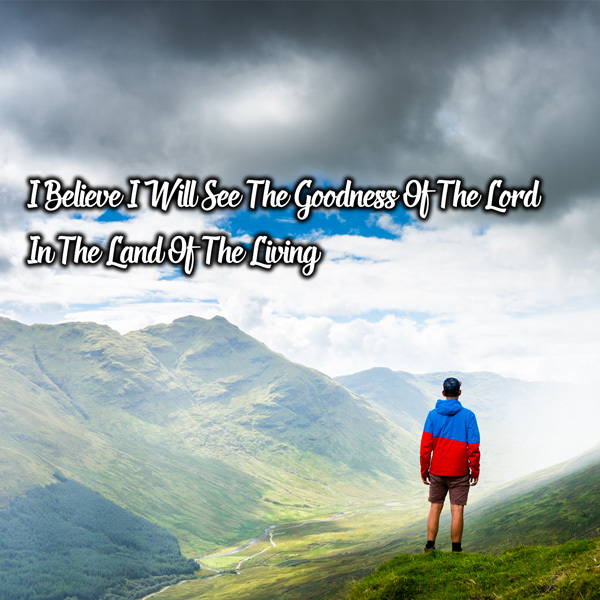 As Christians God wants us to believe in Him even though we don’t see Him…. 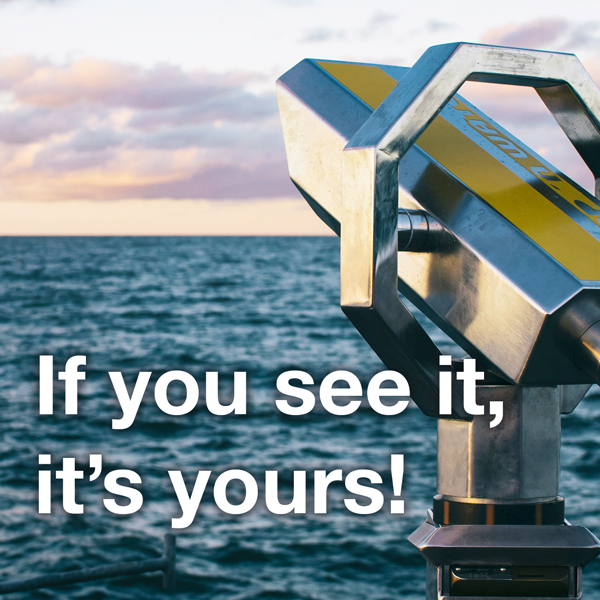 If You See It, It’s Yours! 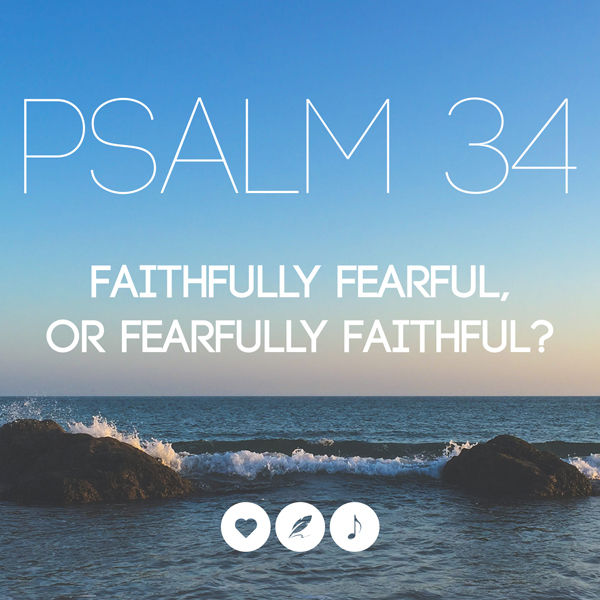 Faithfully Fearful or Fearfully Faithful? 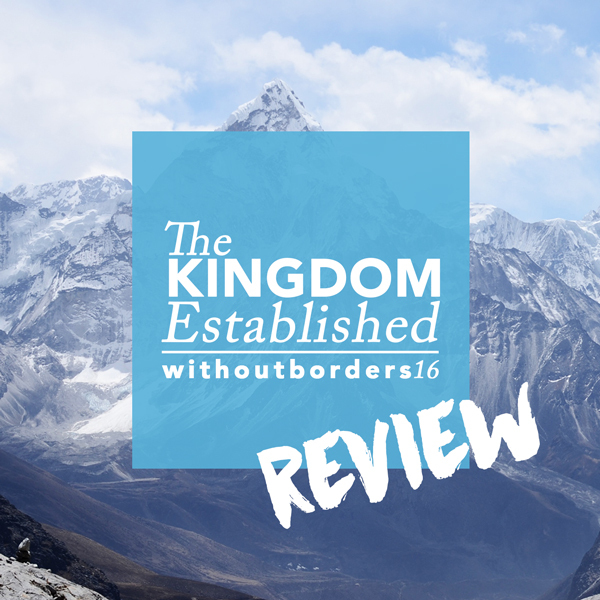 A look back at the key messages from the Without Borders 16 ’Kingdom Established’ Conference. 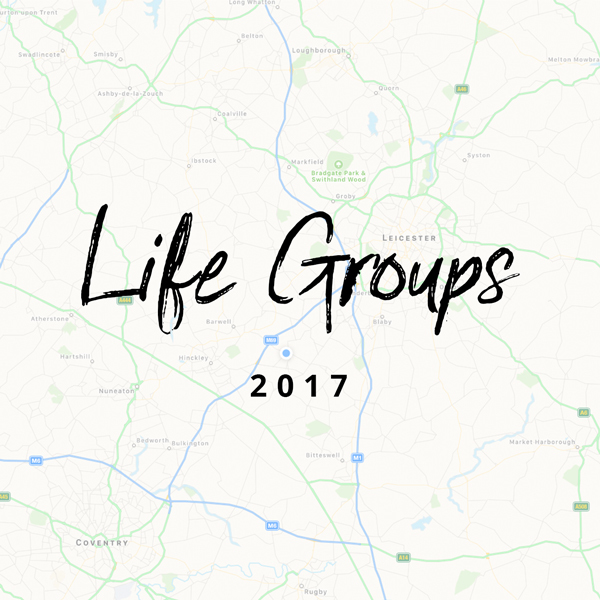 Patrick and Adele, members of Living Rock’s youth group , each share aspects of what the fatherhood of God means to them. 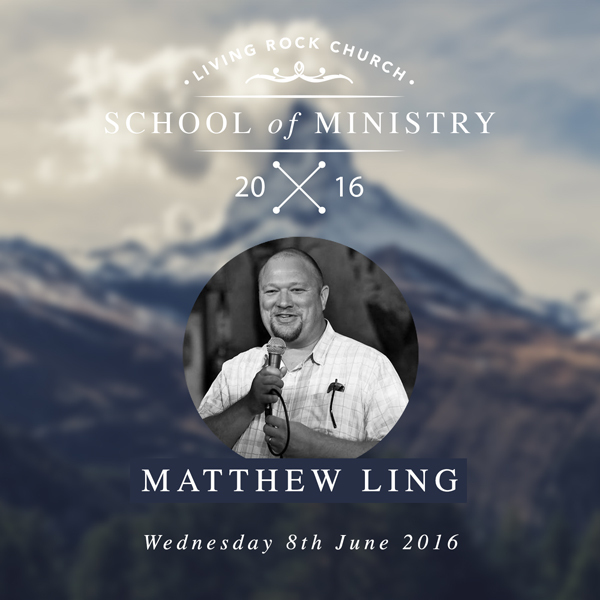 In our latest School of Ministry session Matthew Ling outlines some of the vital characteristics of authentic prophetic ministry and encourages the church to be prophetic.